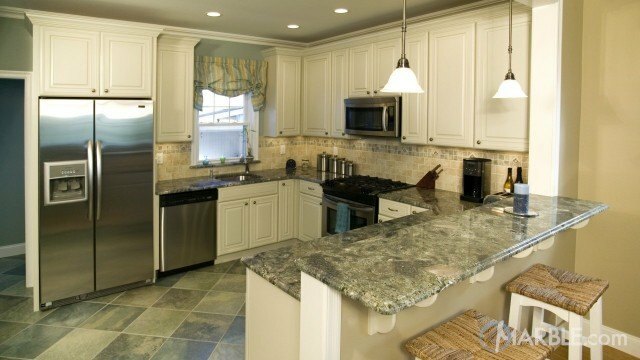 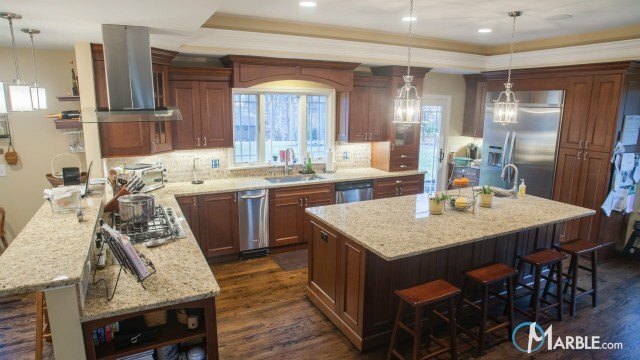 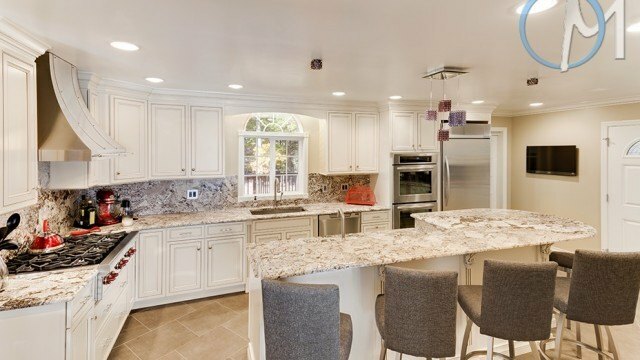 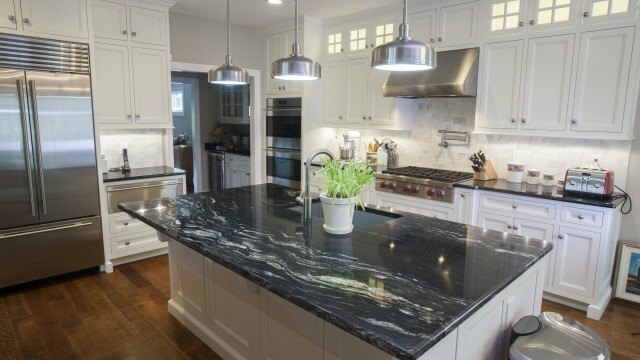 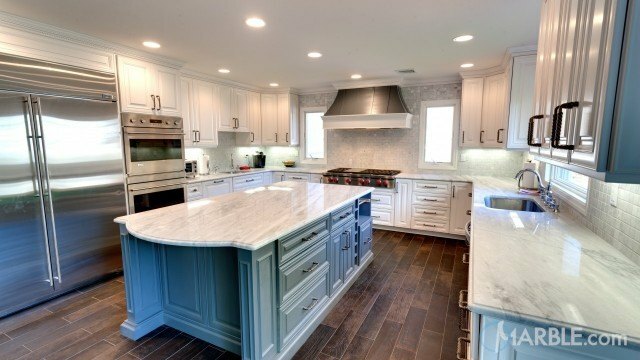 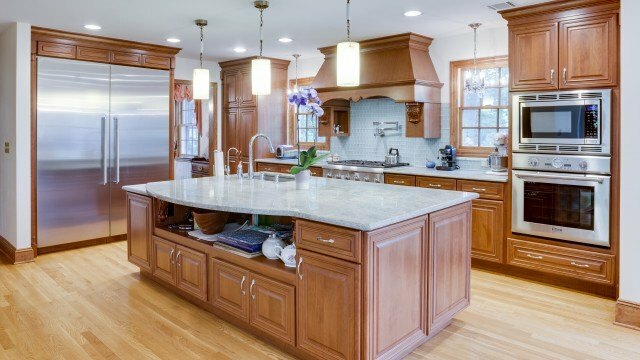 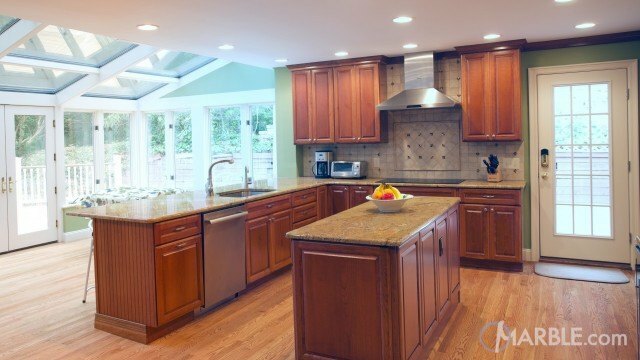 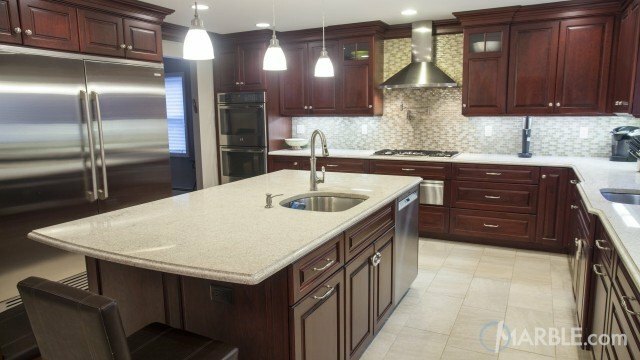 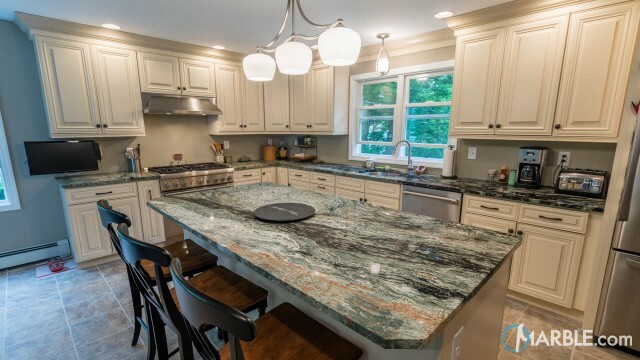 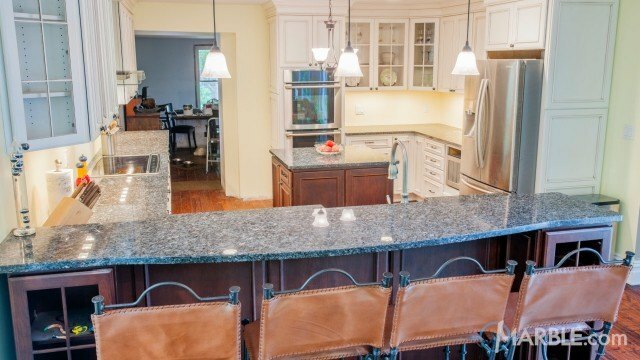 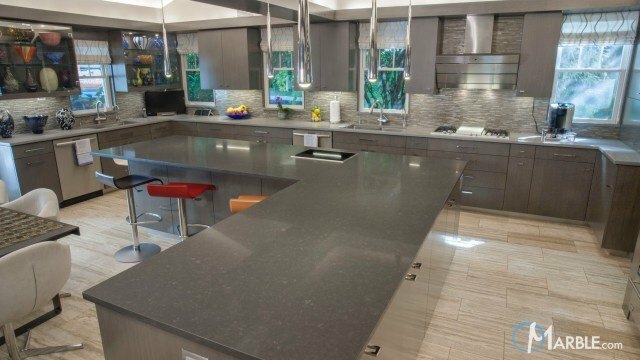 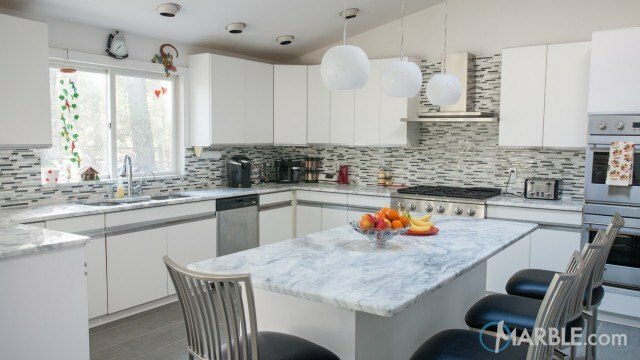 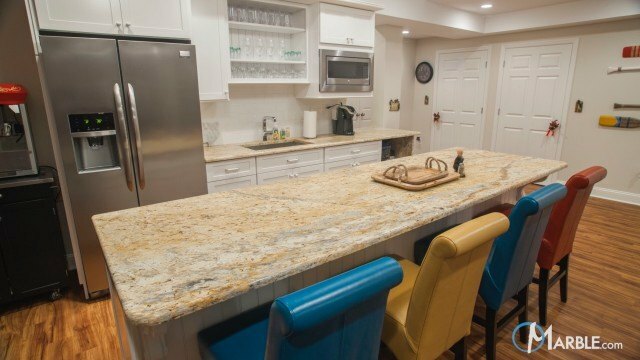 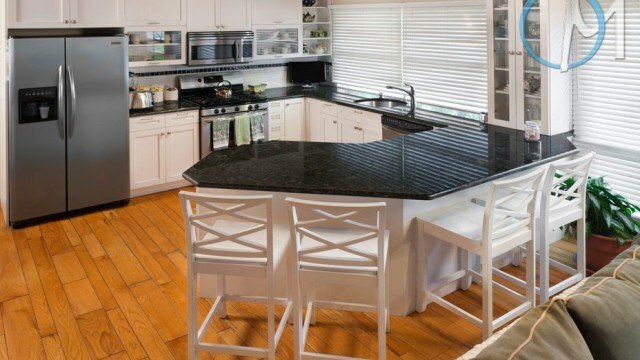 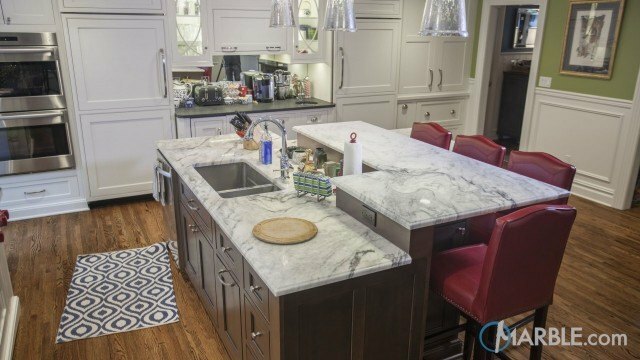 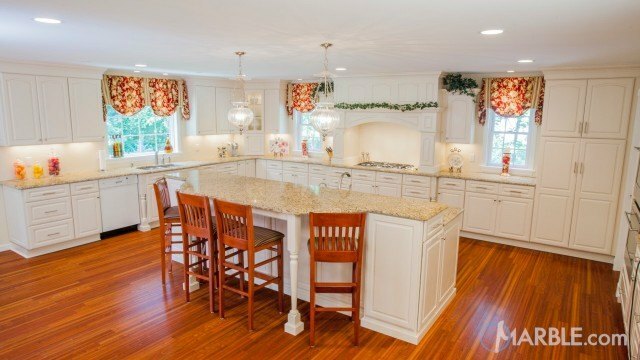 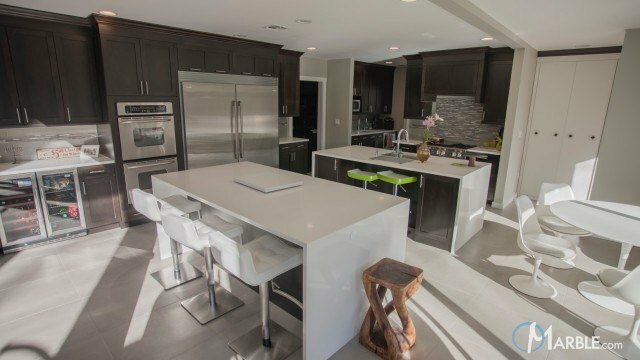 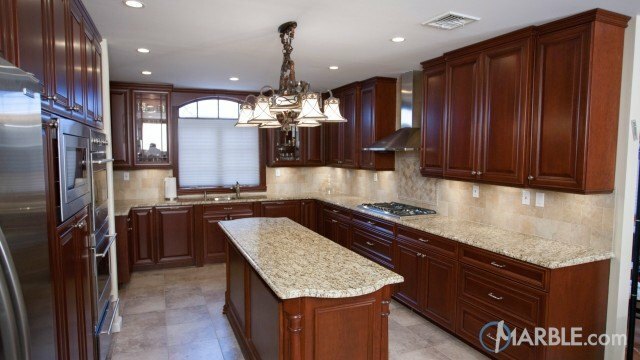 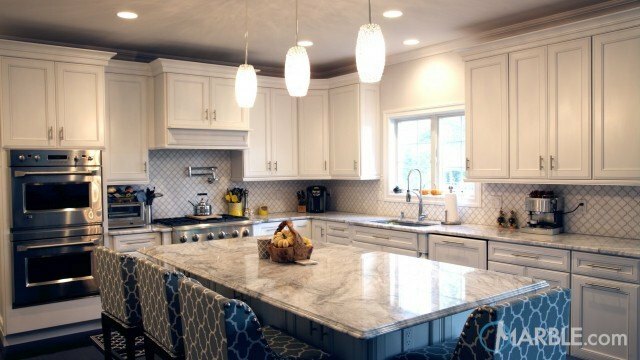 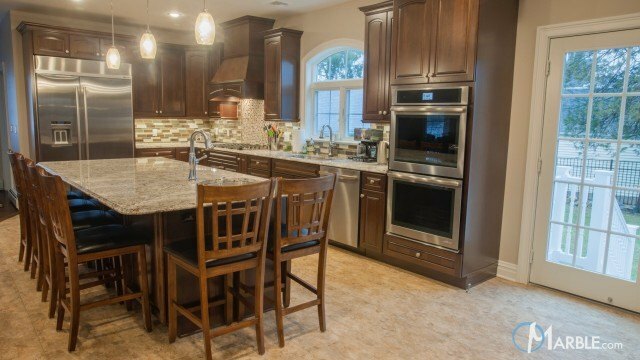 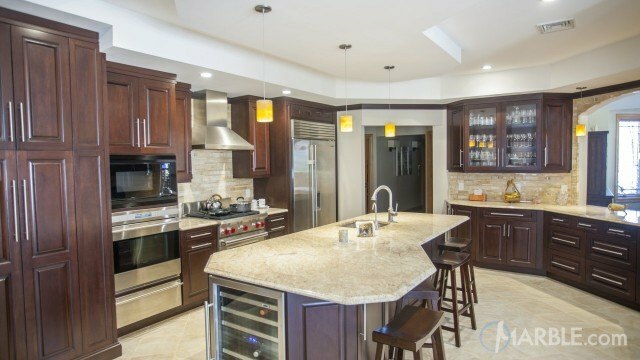 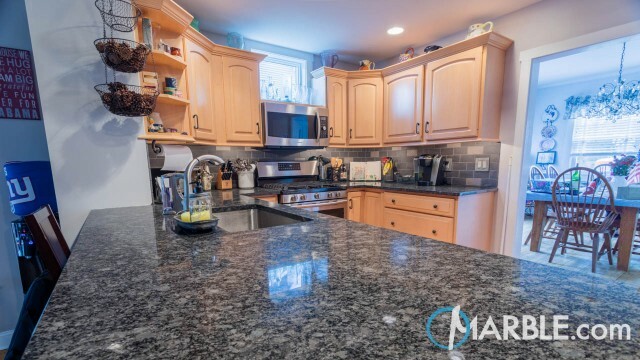 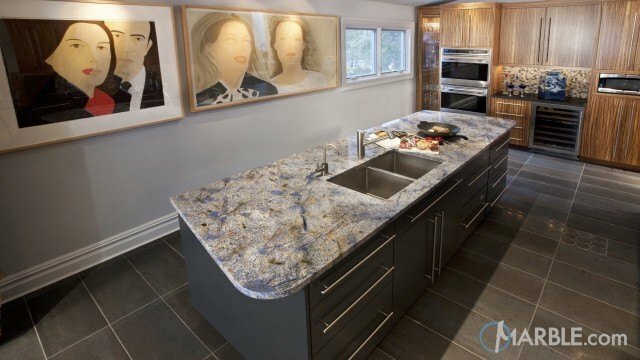 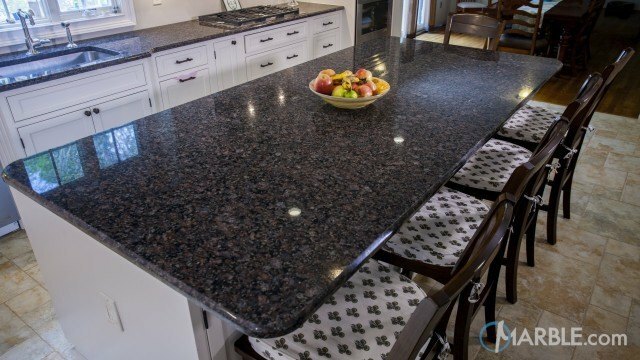 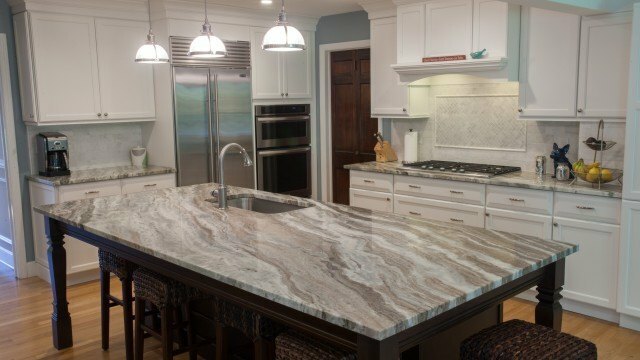 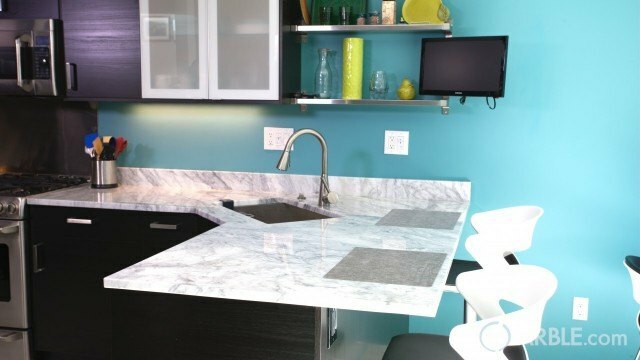 The gorgeous Black Thunder granite and Giallo Napole granite with Ogee Edges grace the counter tops of this incredible kitchen. 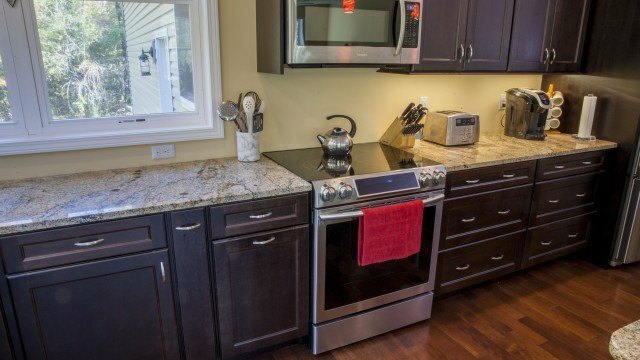 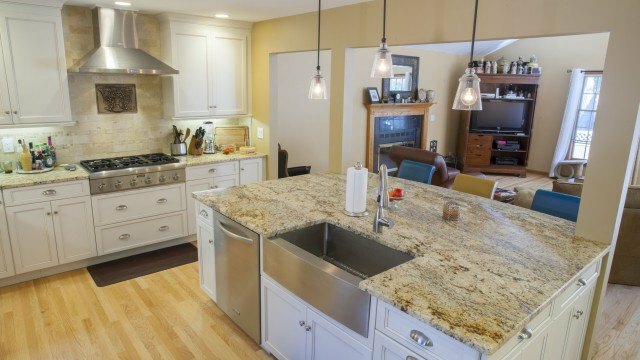 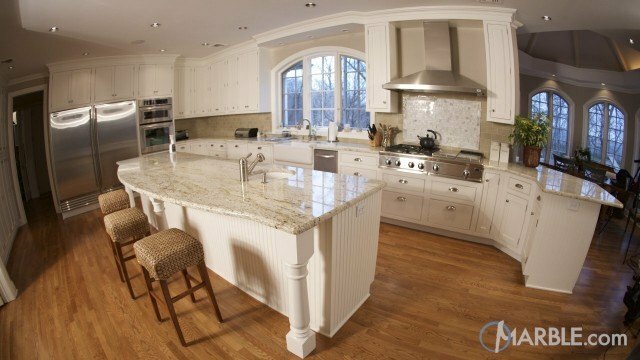 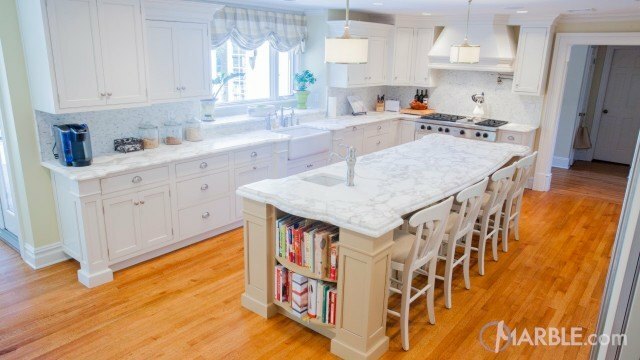 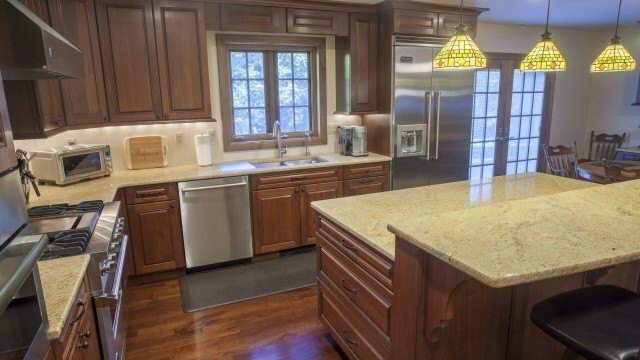 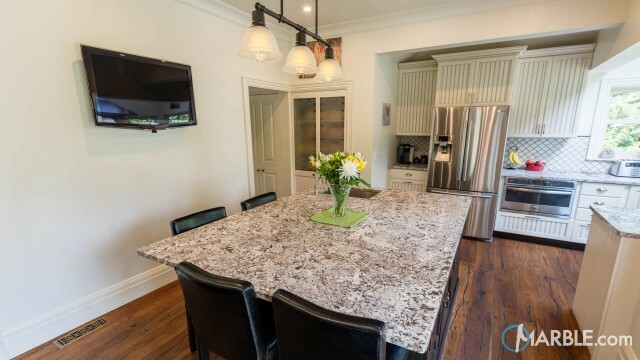 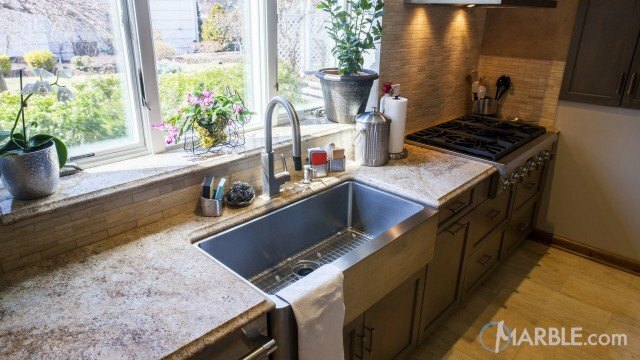 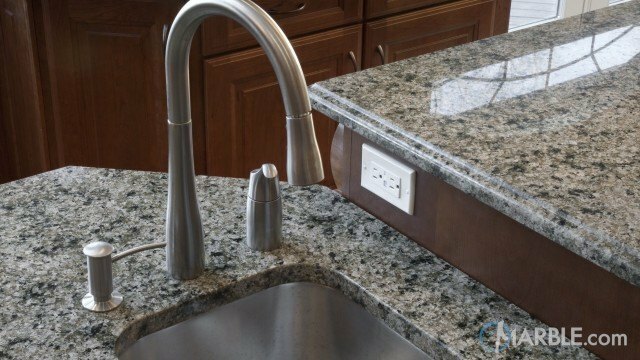 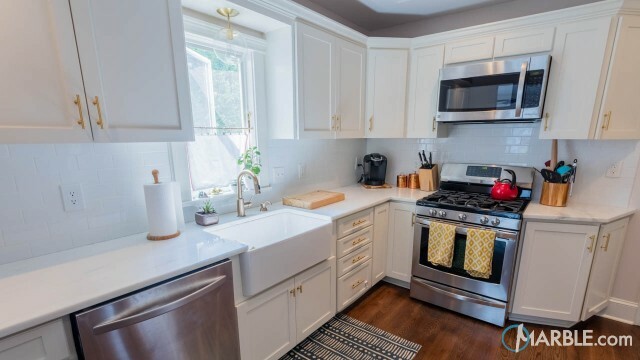 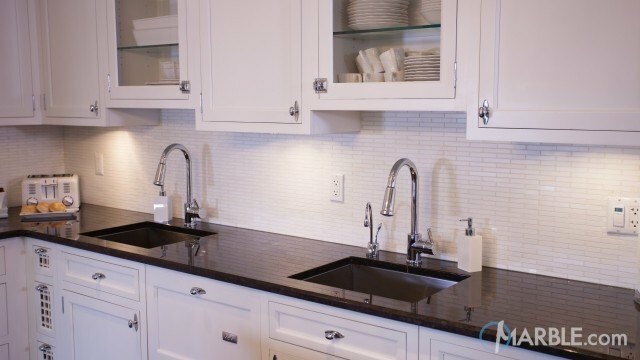 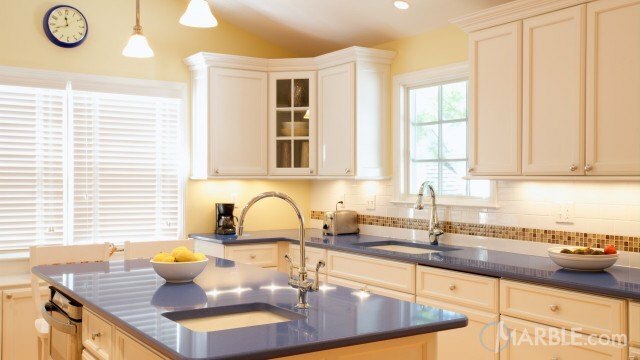 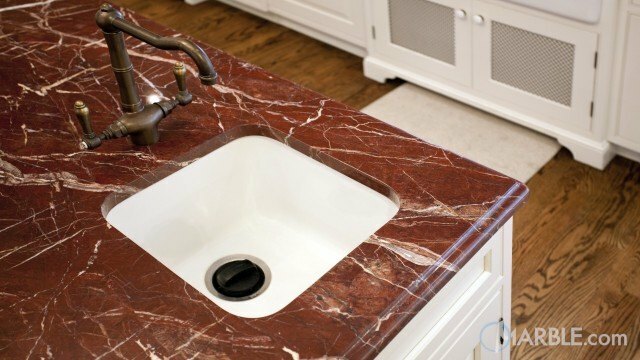 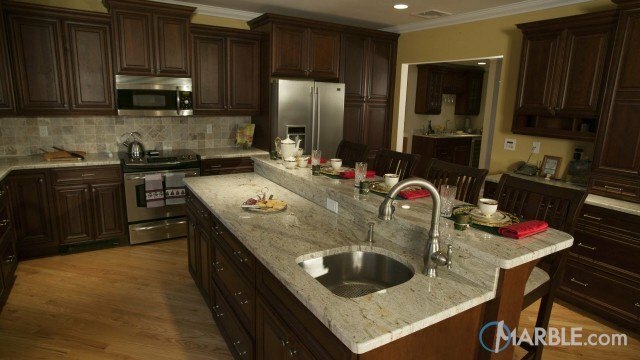 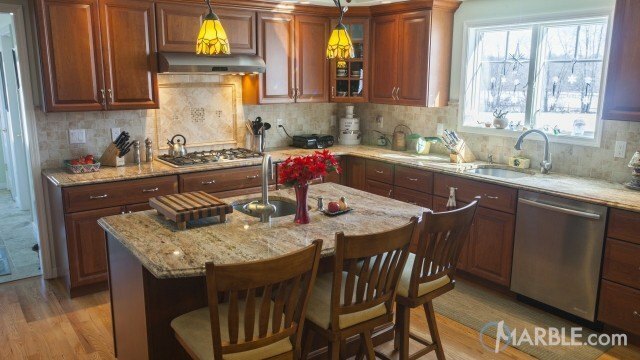 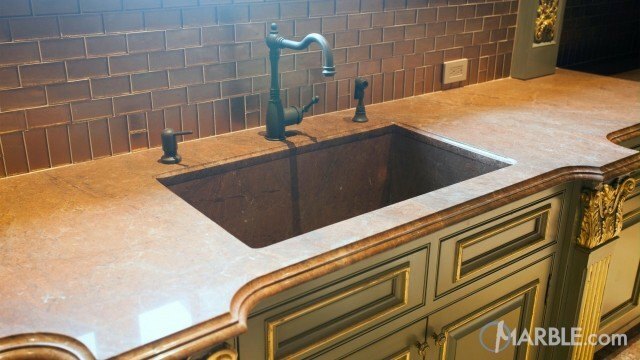 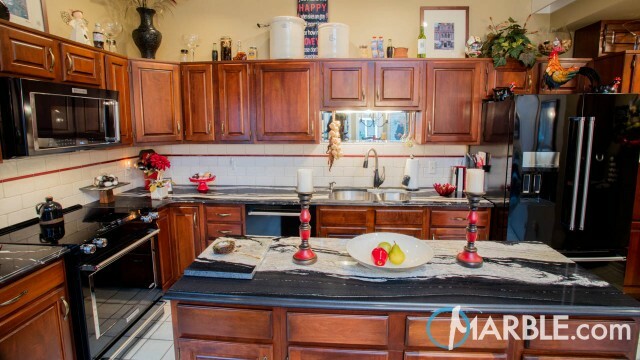 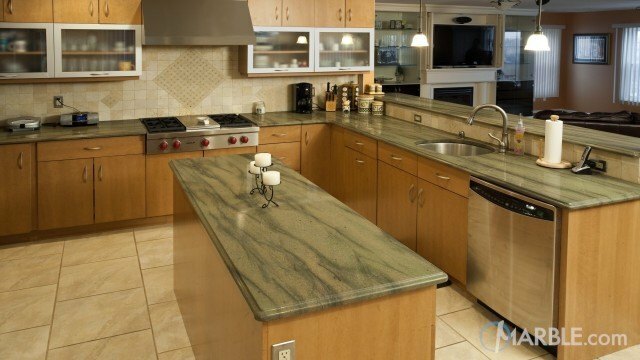 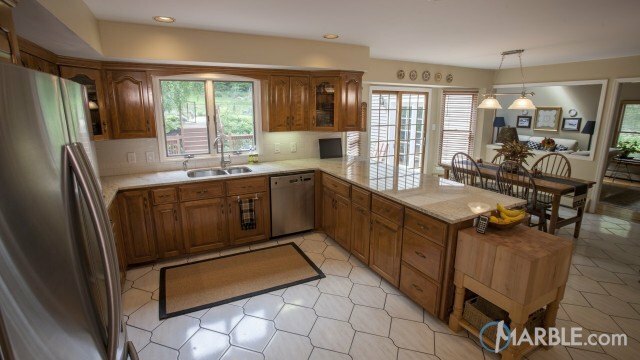 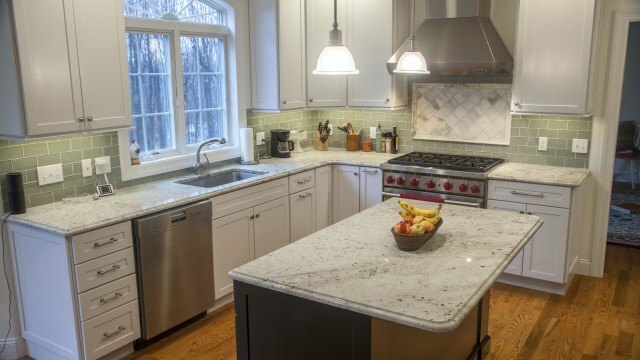 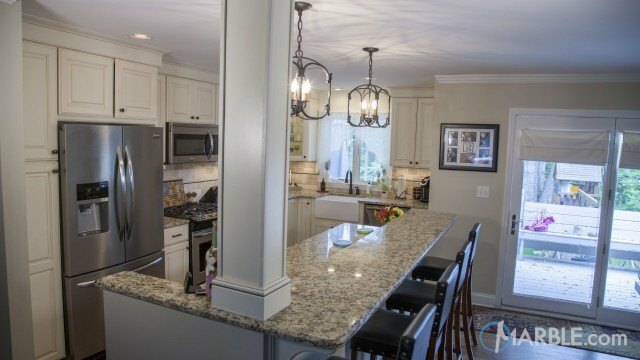 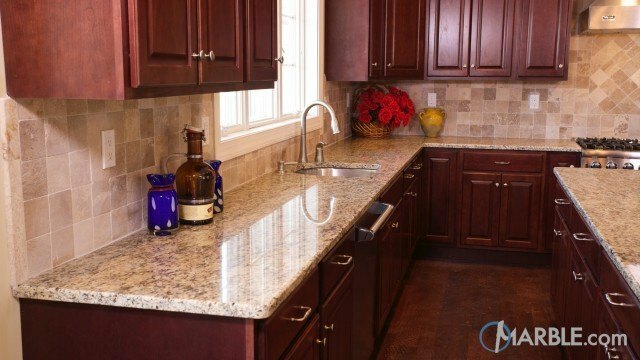 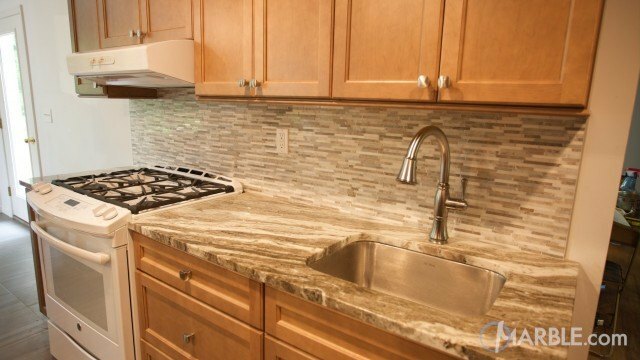 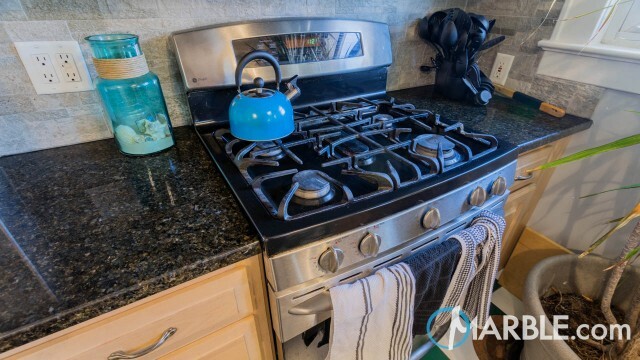 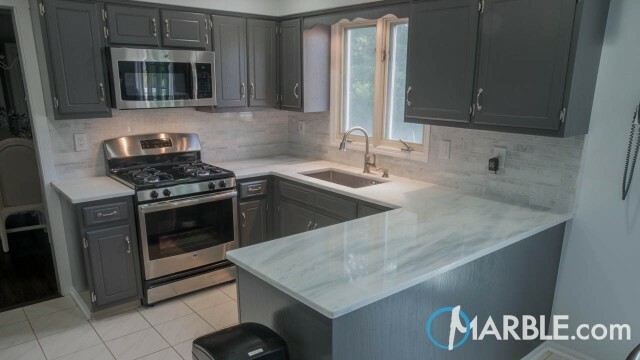 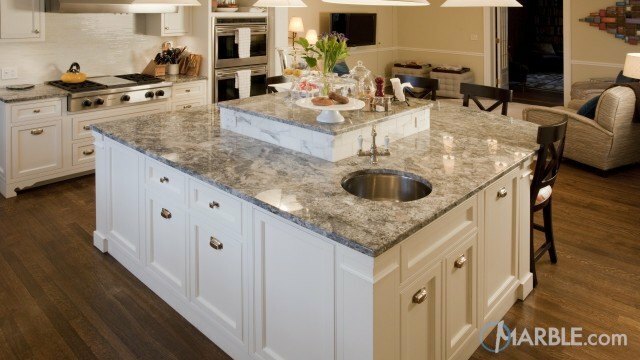 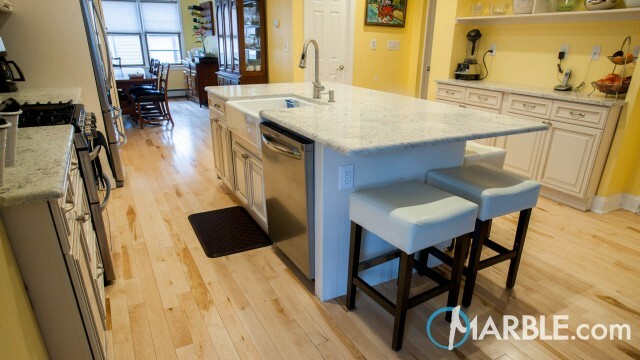 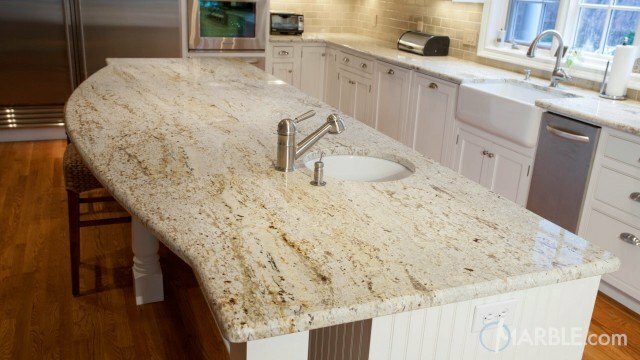 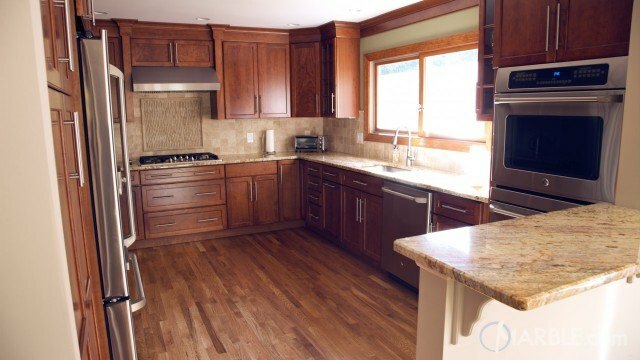 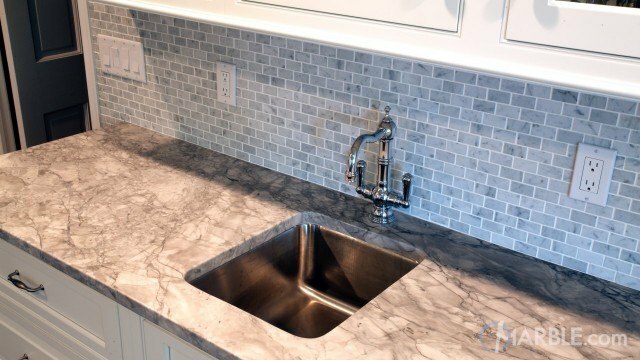 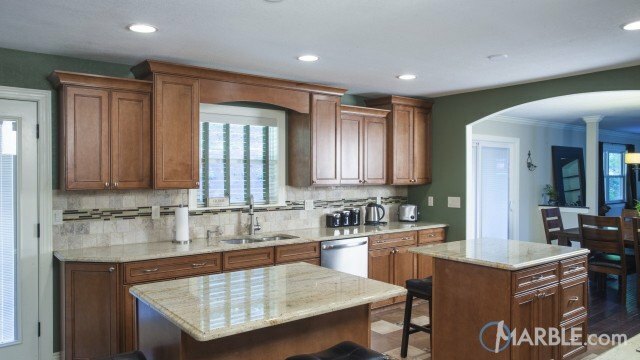 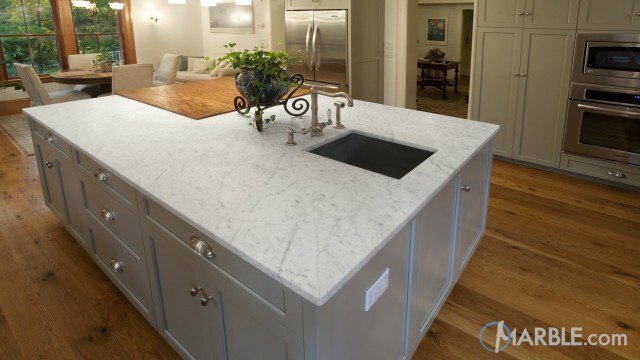 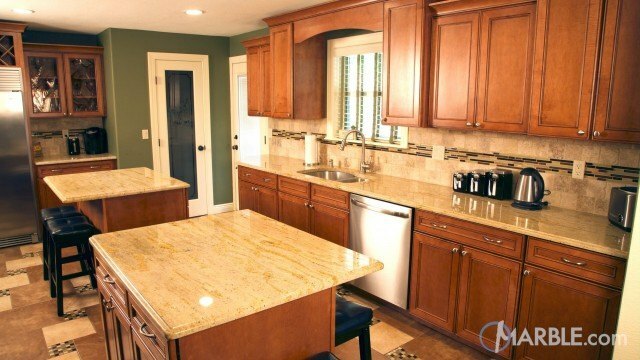 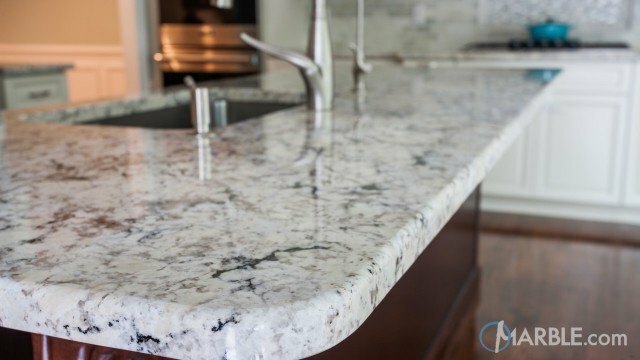 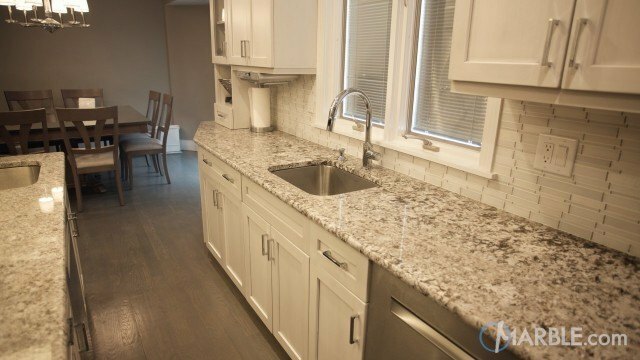 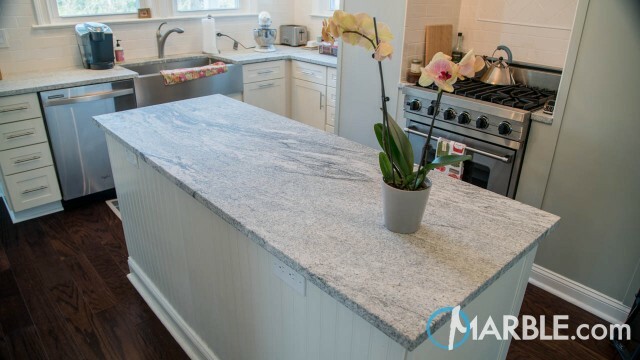 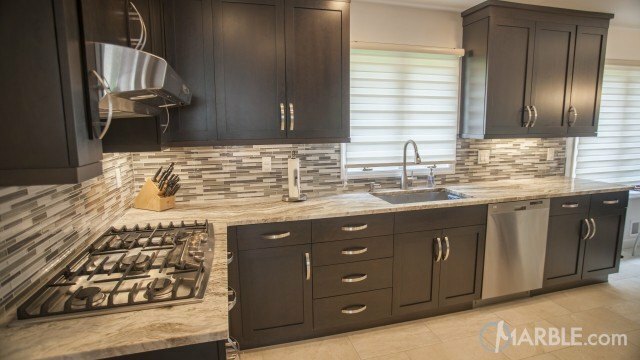 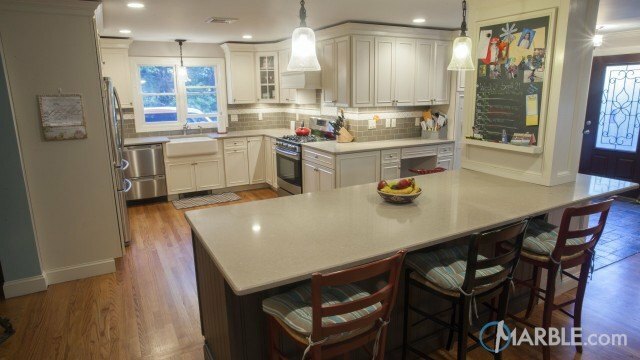 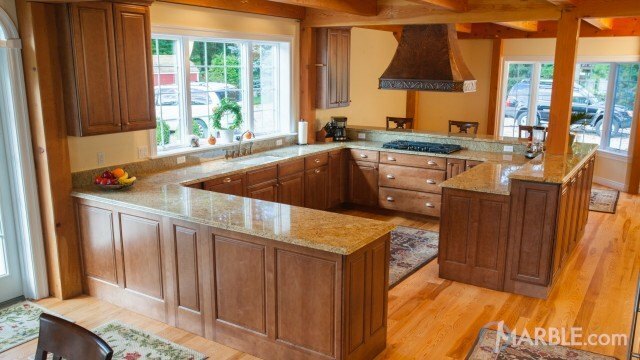 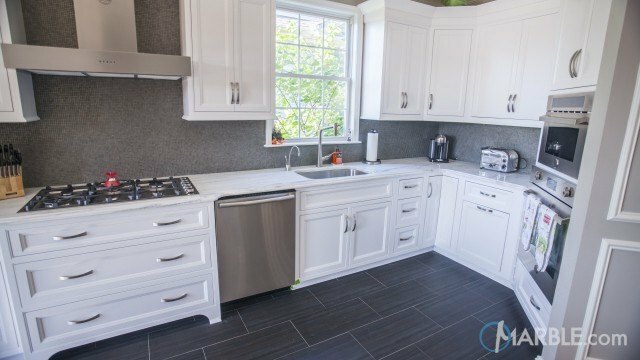 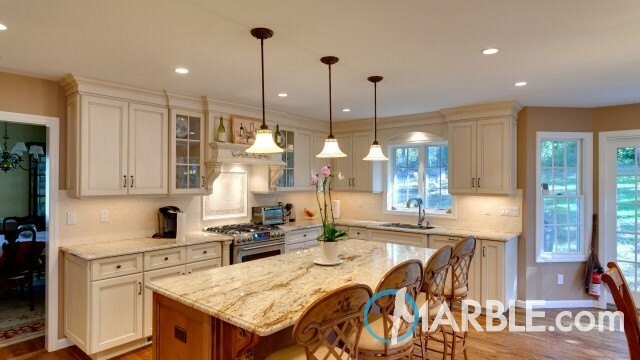 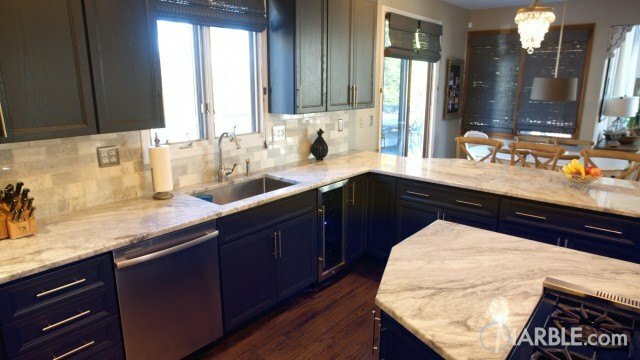 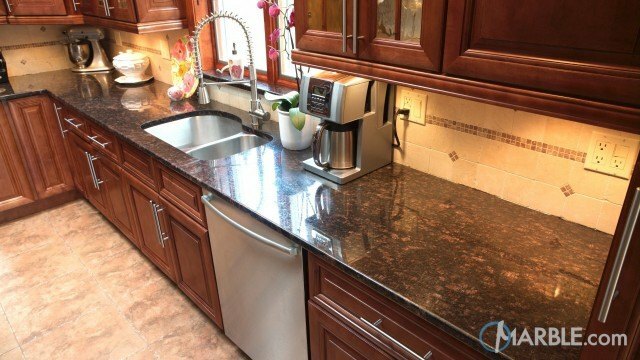 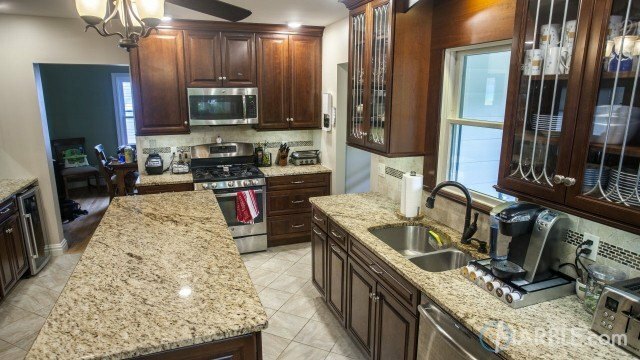 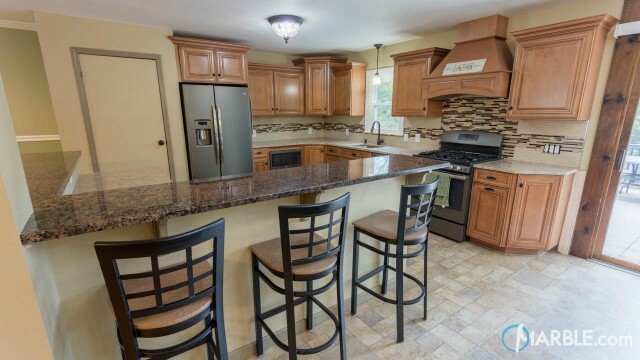 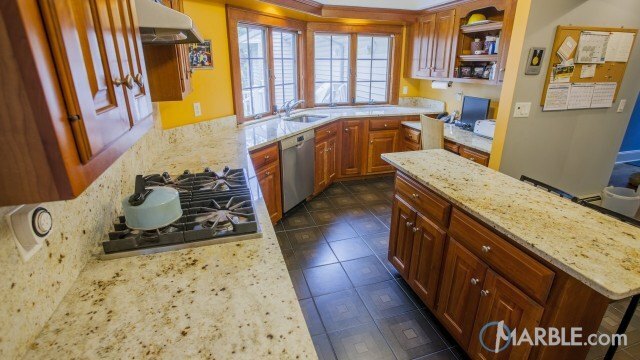 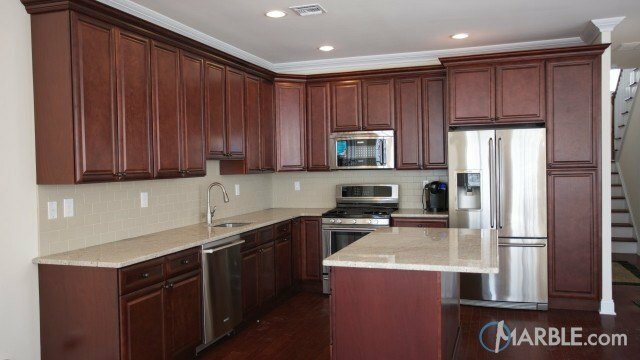 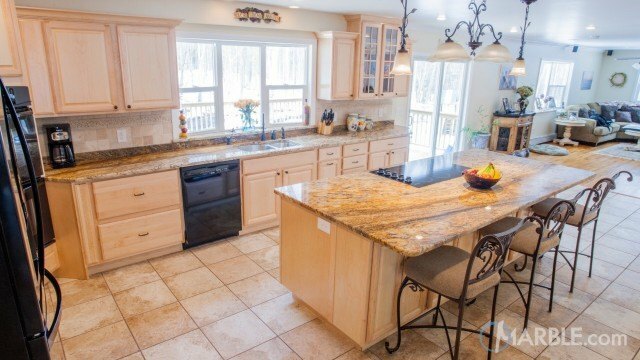 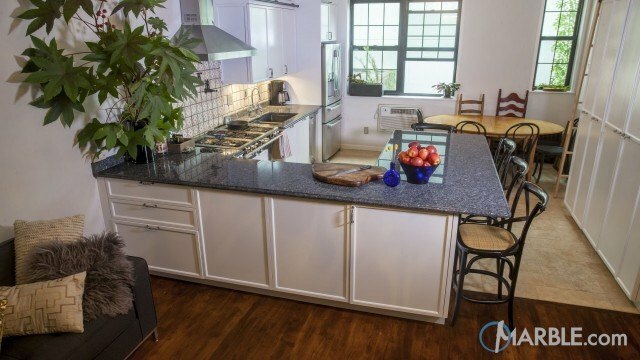 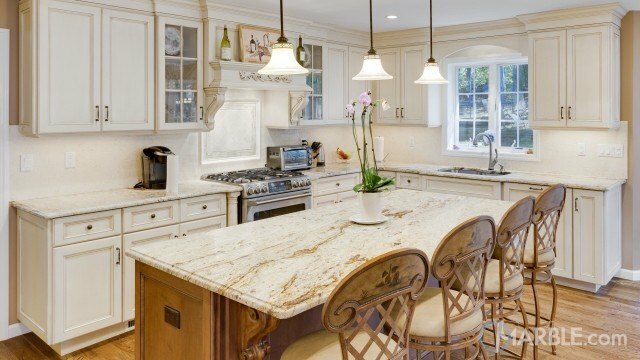 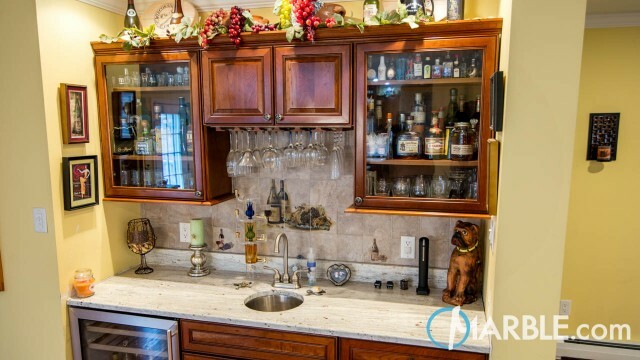 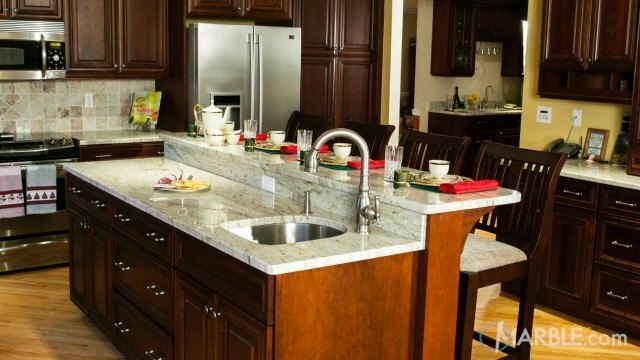 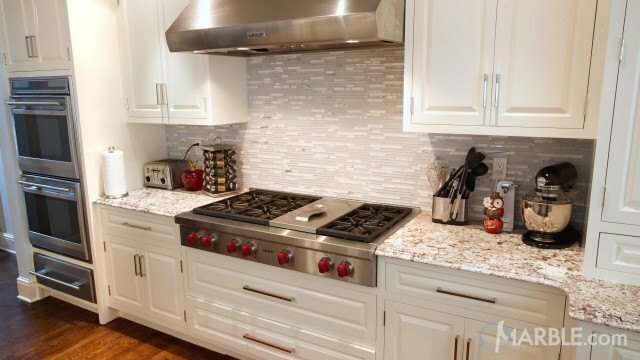 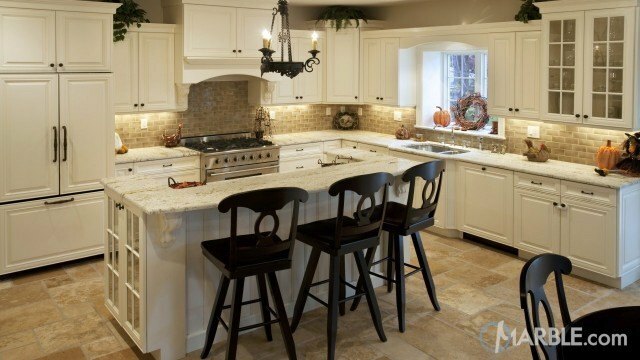 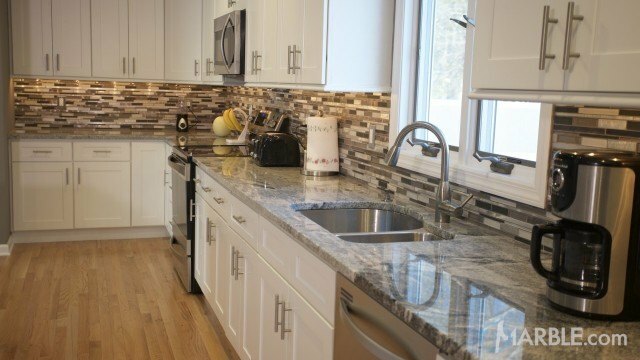 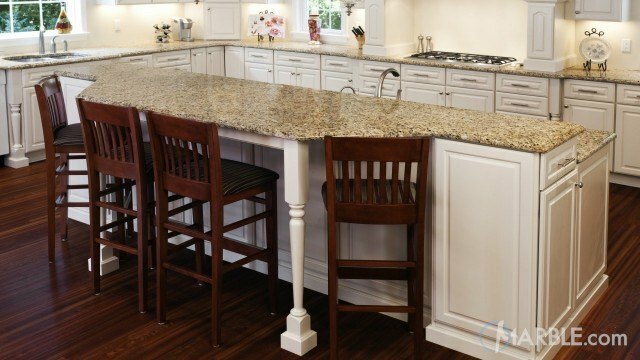 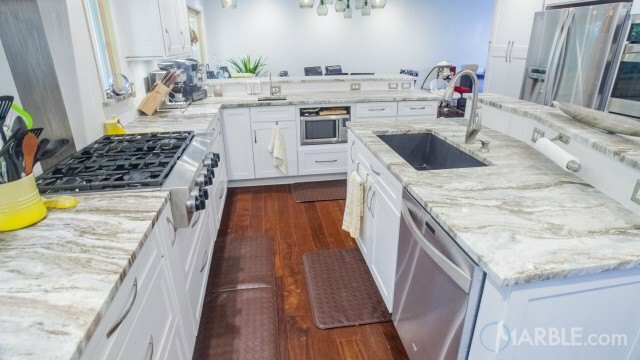 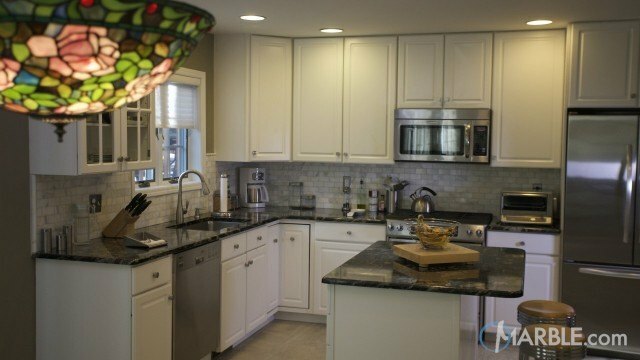 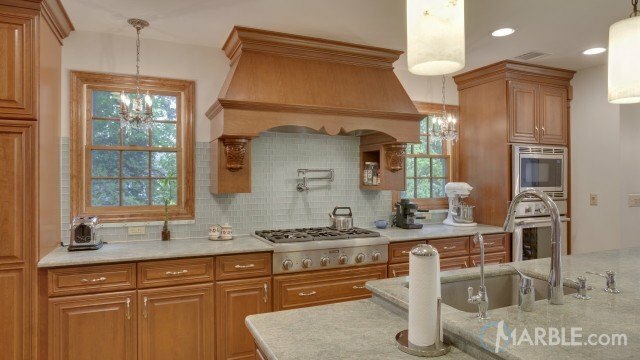 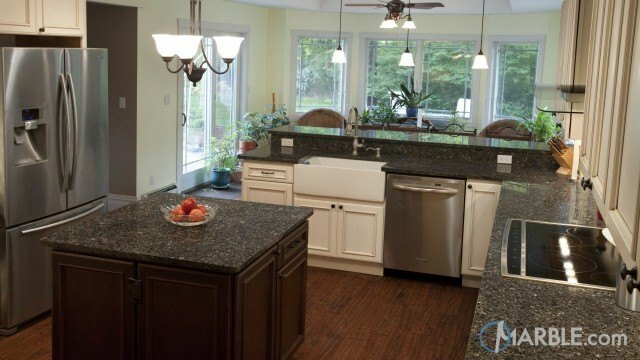 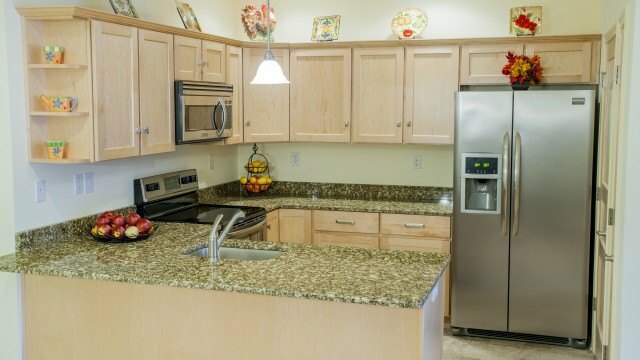 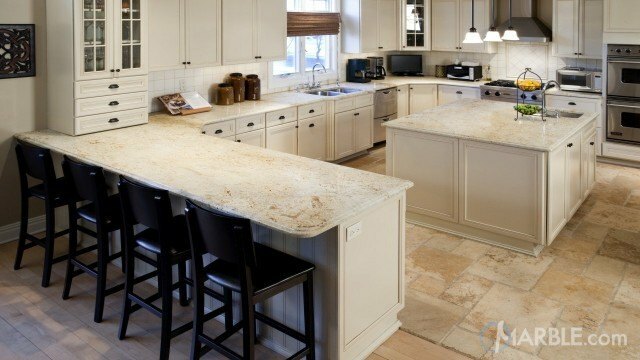 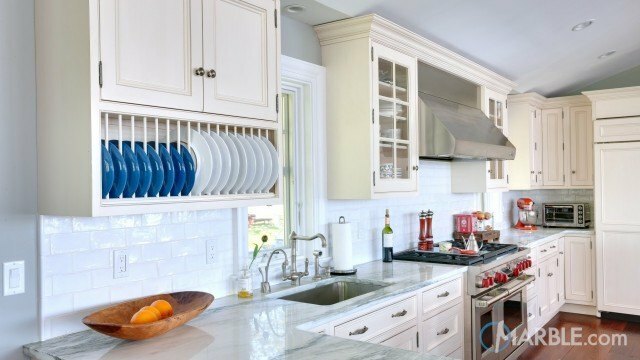 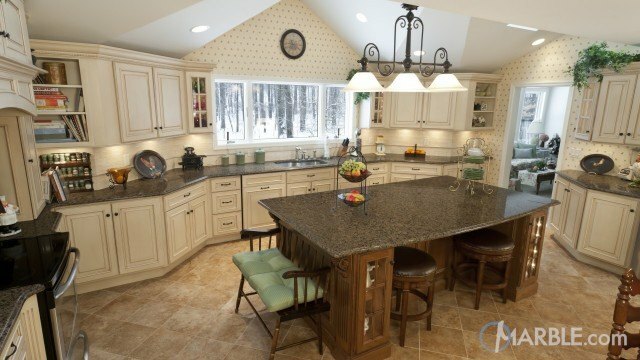 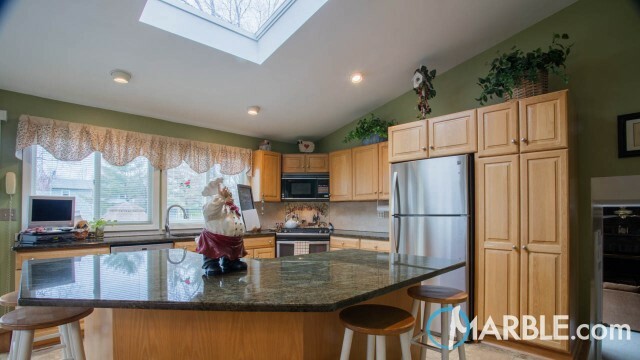 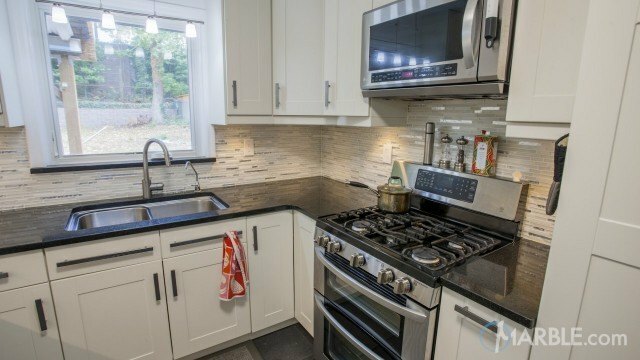 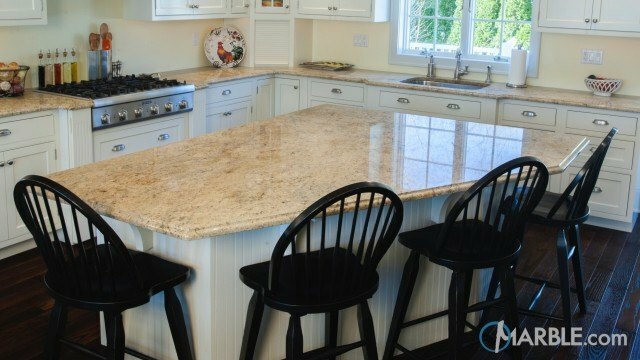 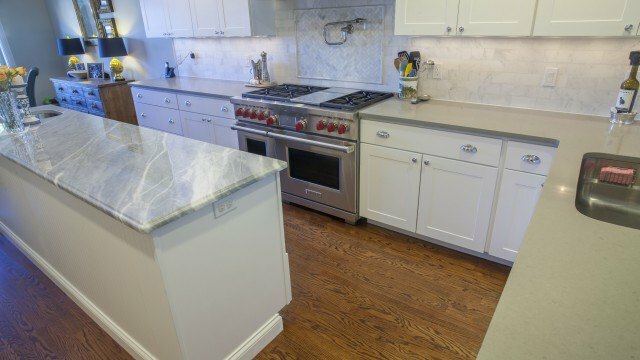 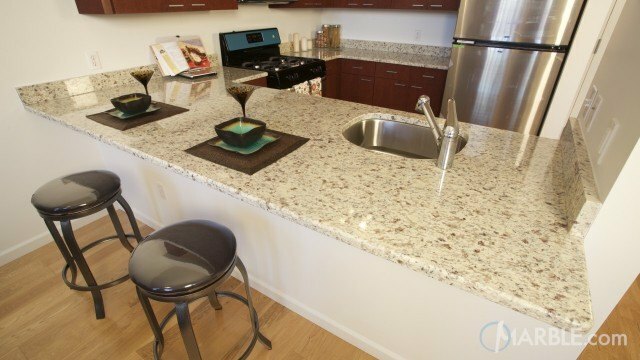 The kitchen sink is farm style and keeps the granite counter tops looking smooth. 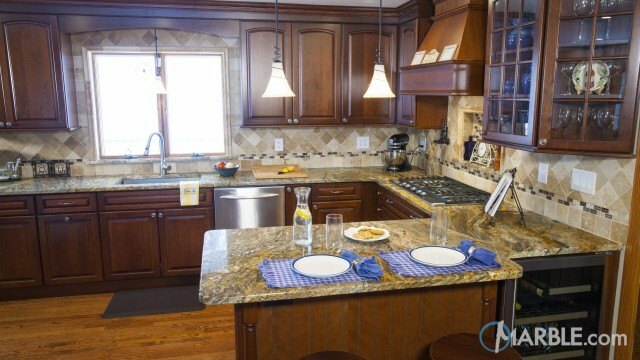 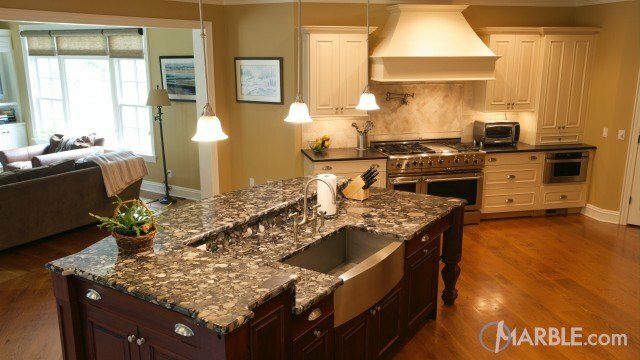 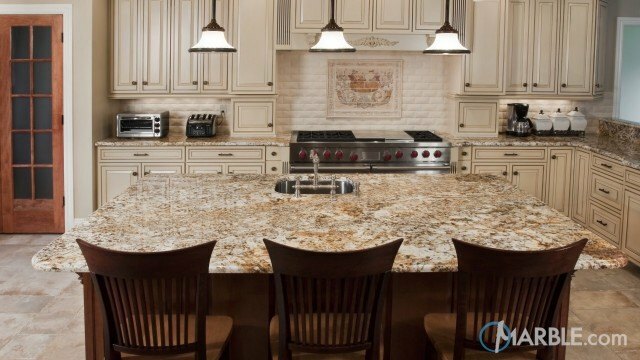 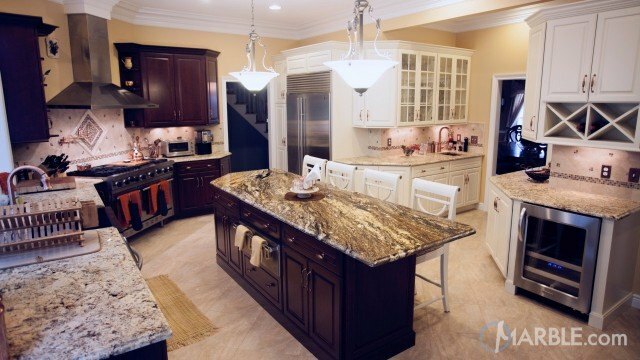 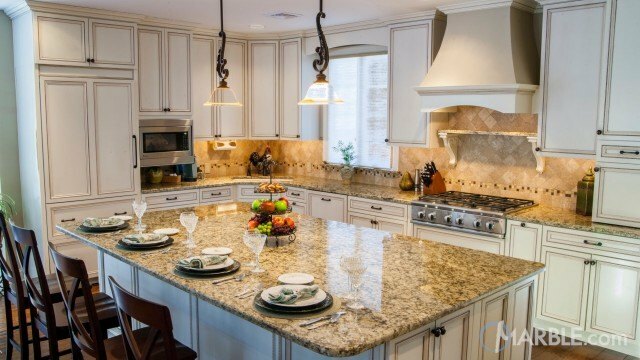 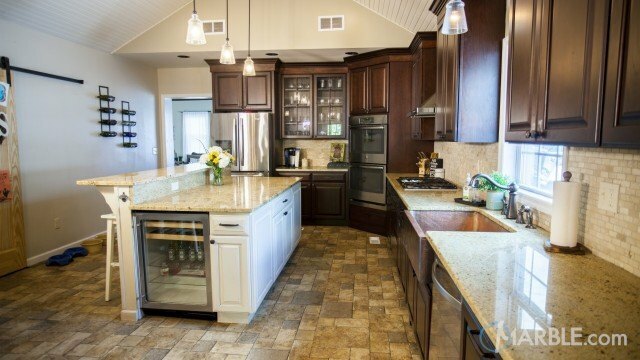 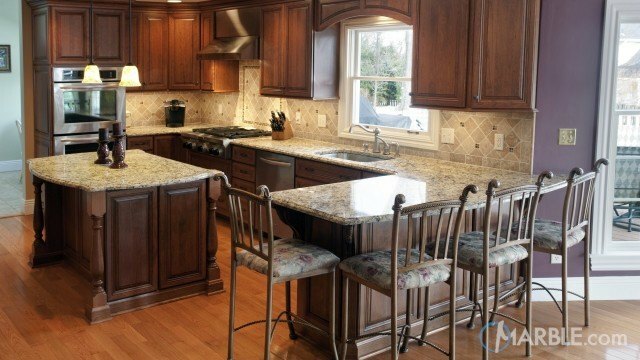 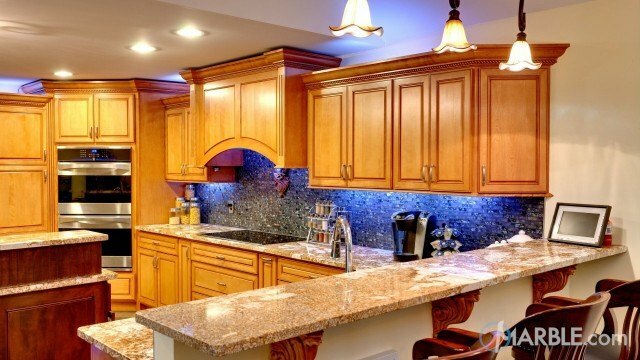 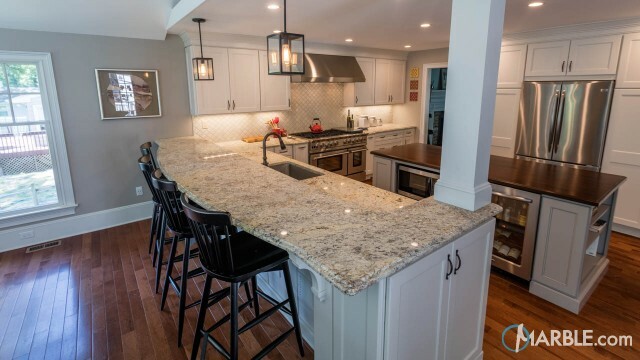 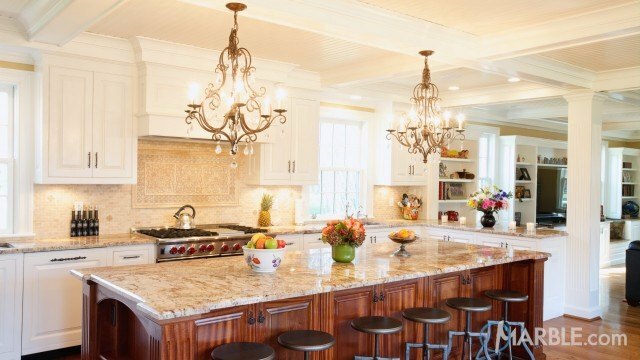 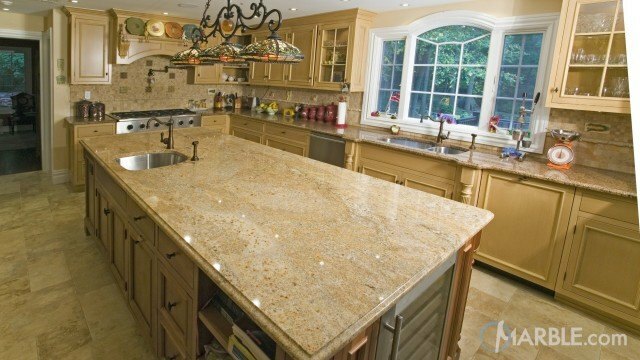 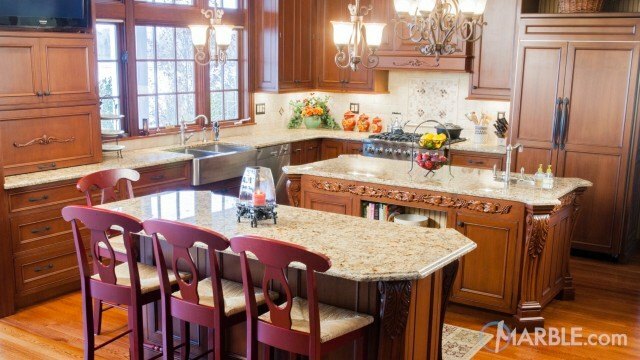 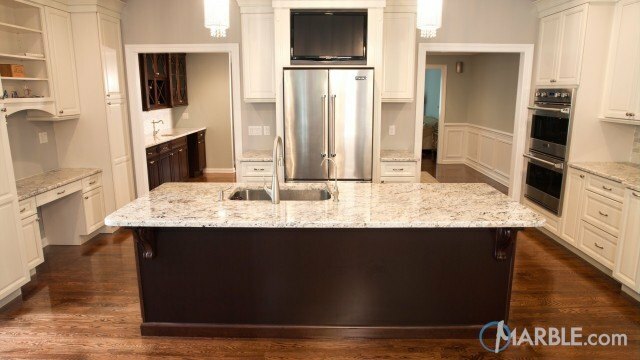 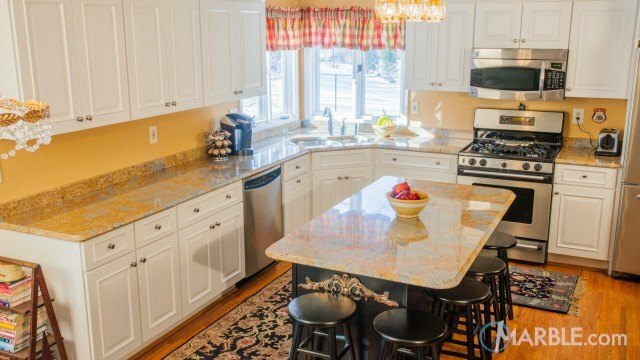 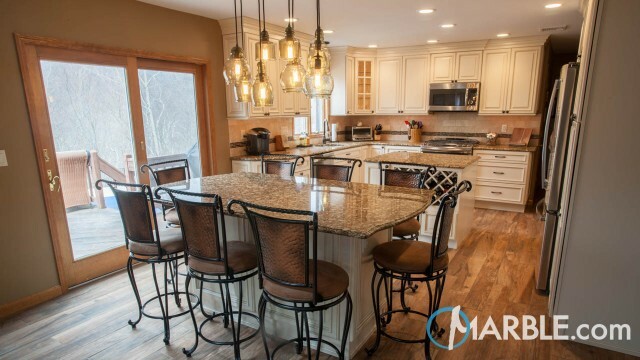 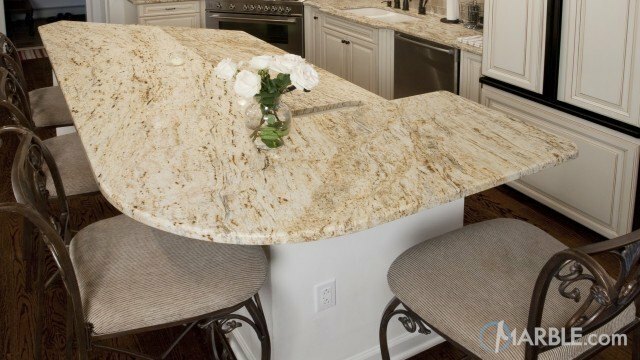 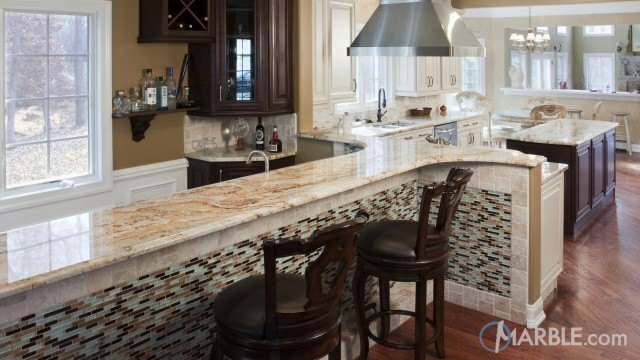 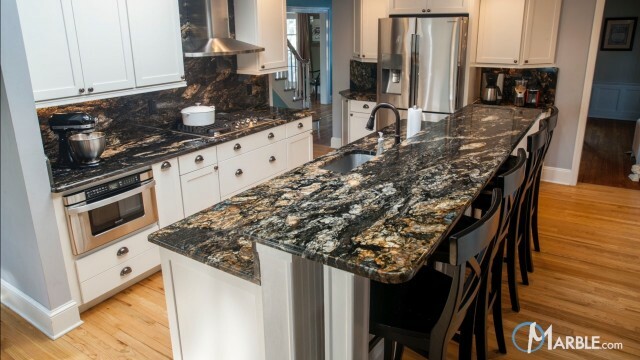 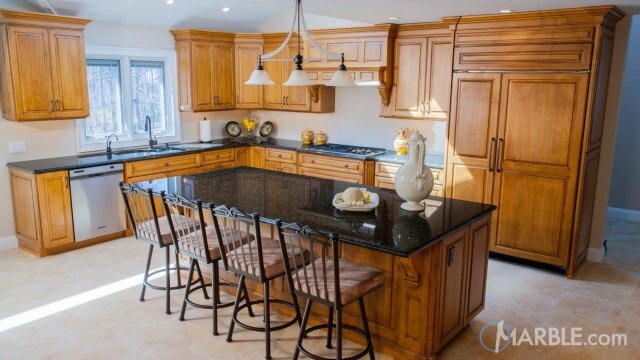 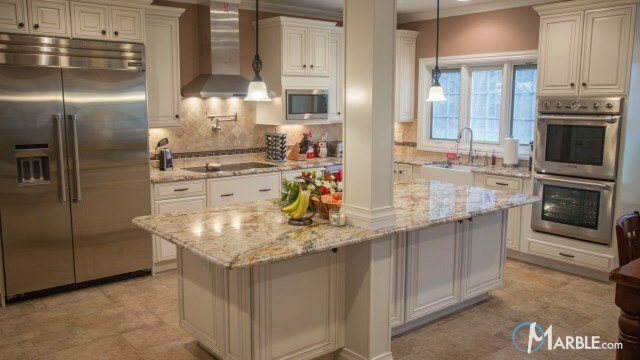 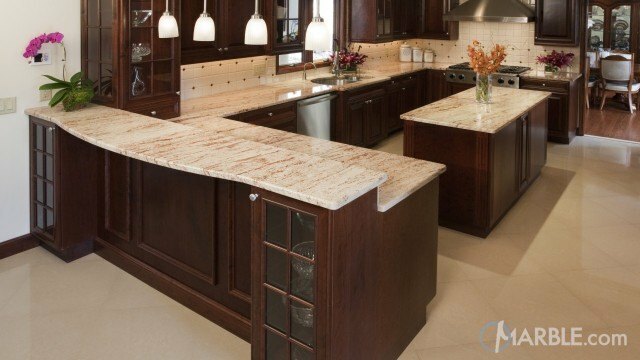 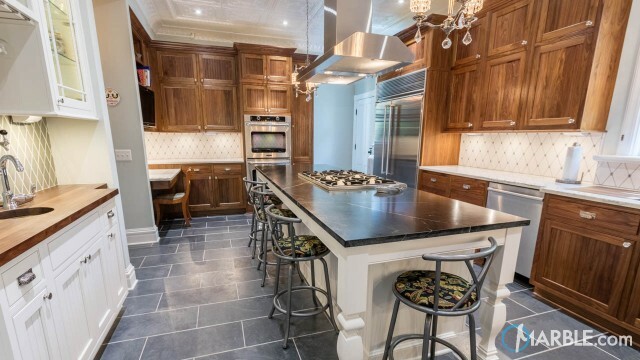 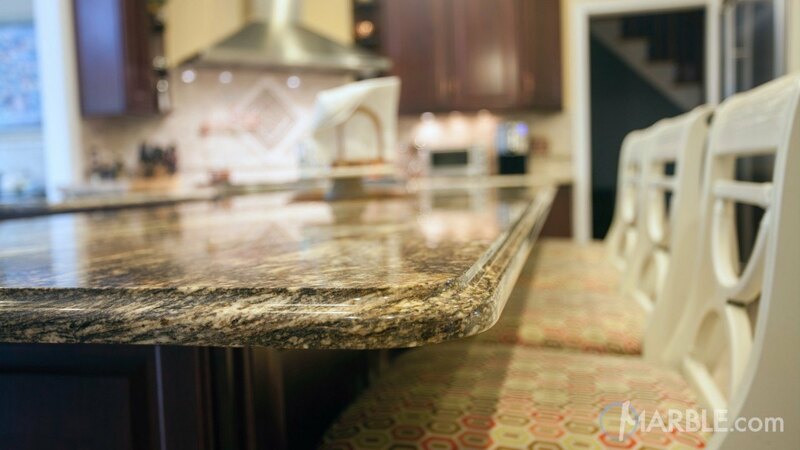 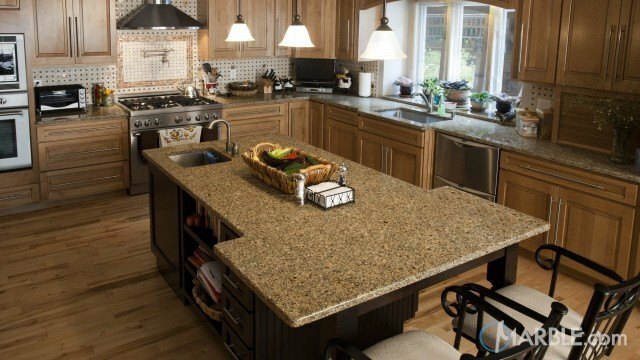 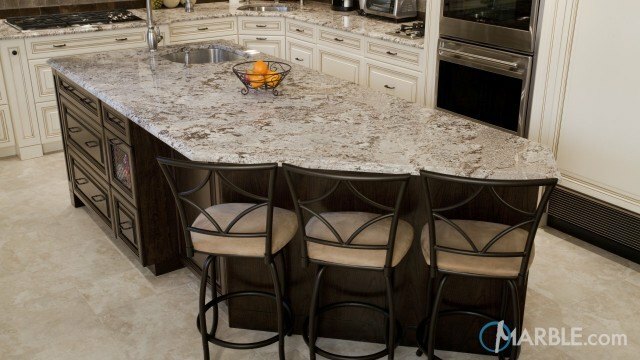 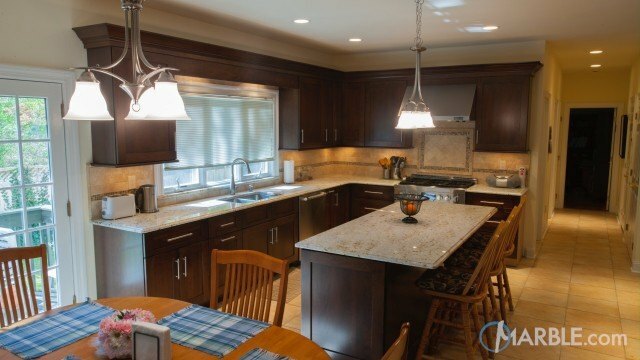 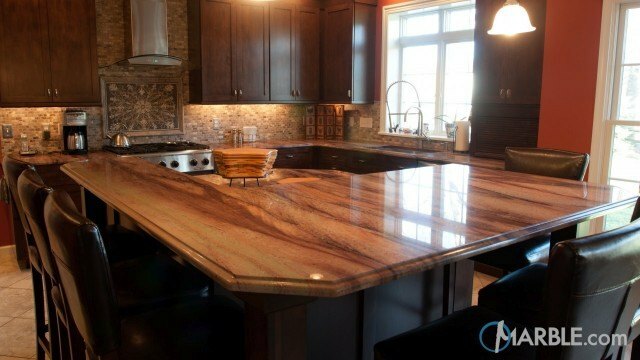 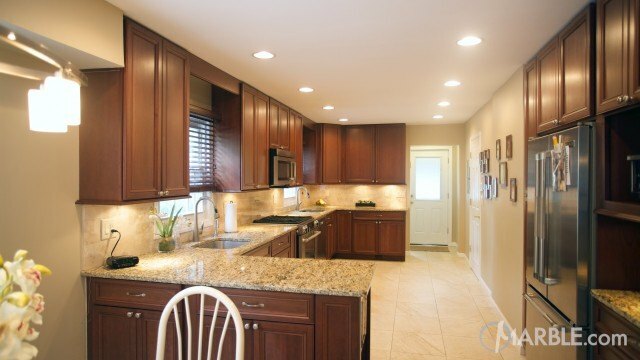 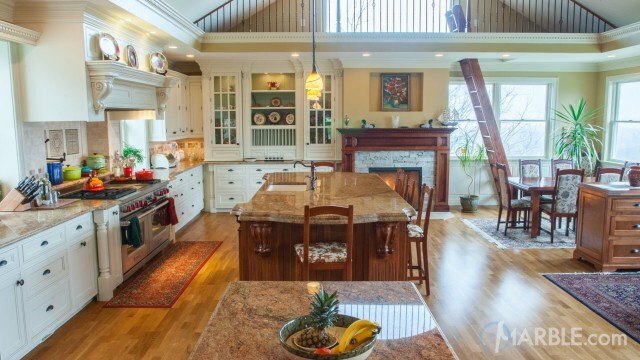 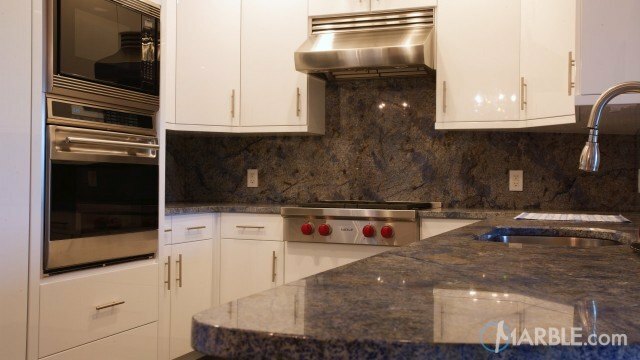 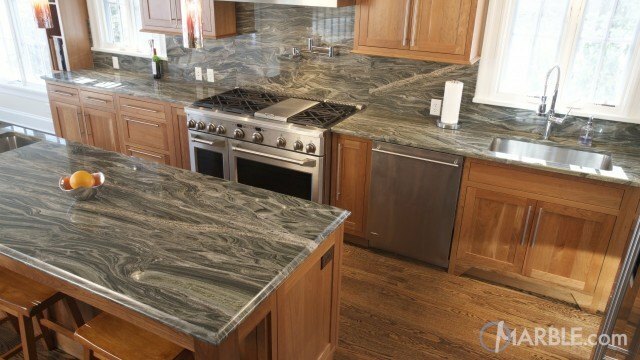 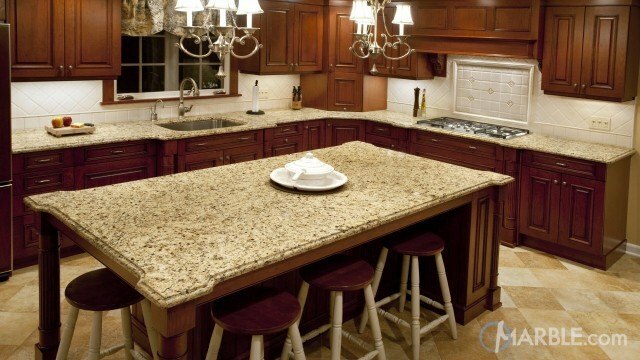 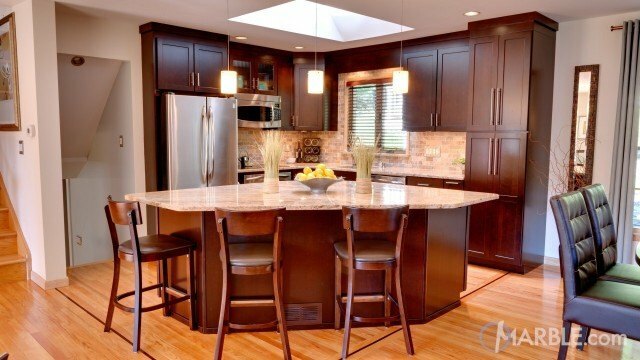 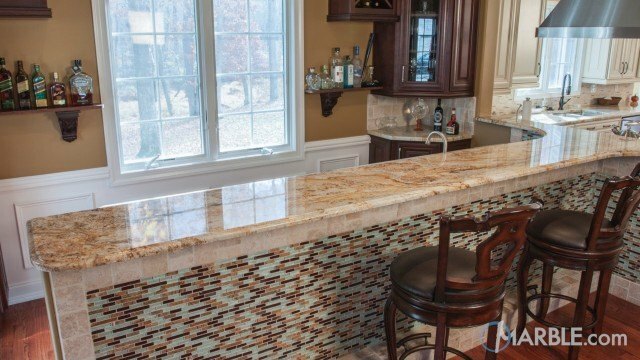 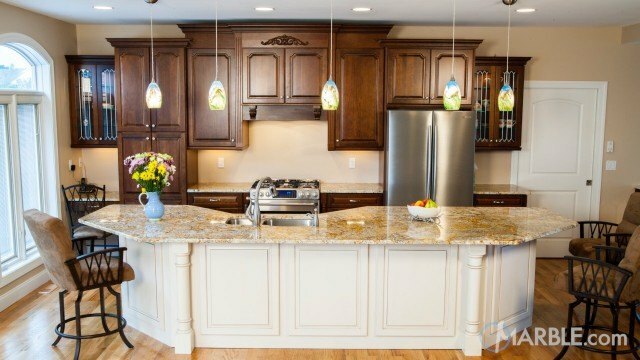 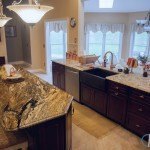 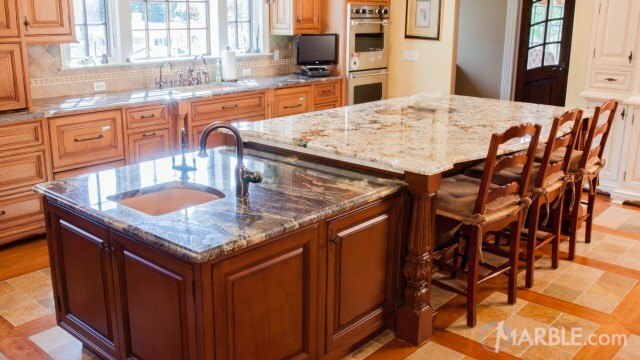 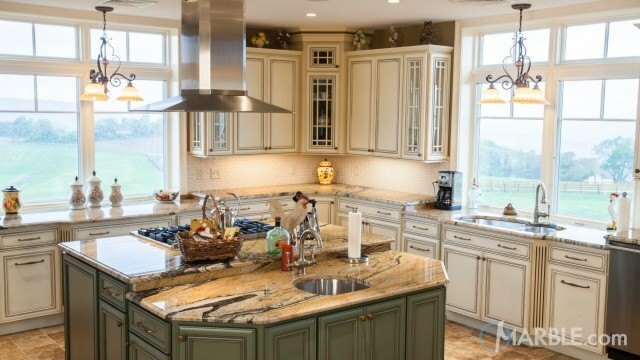 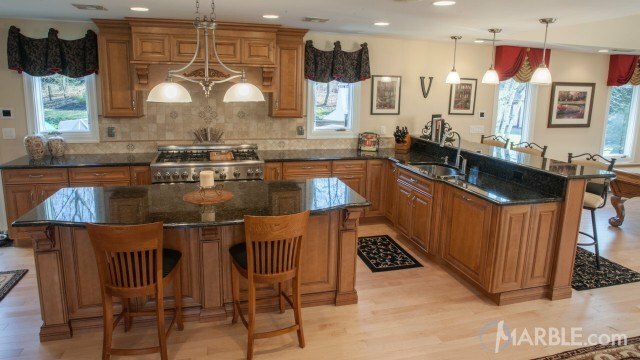 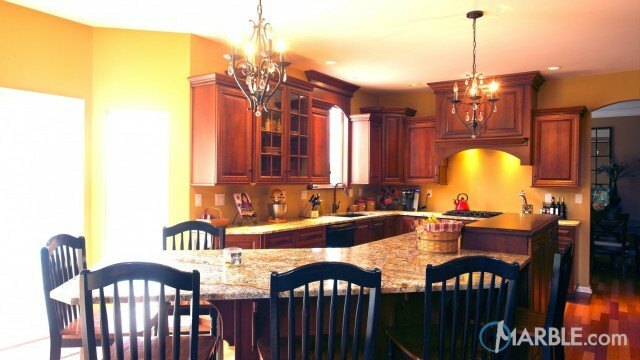 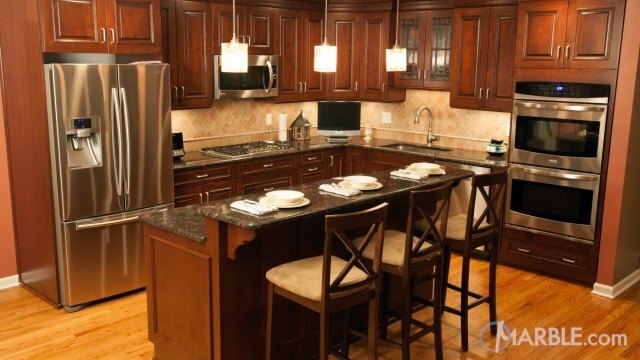 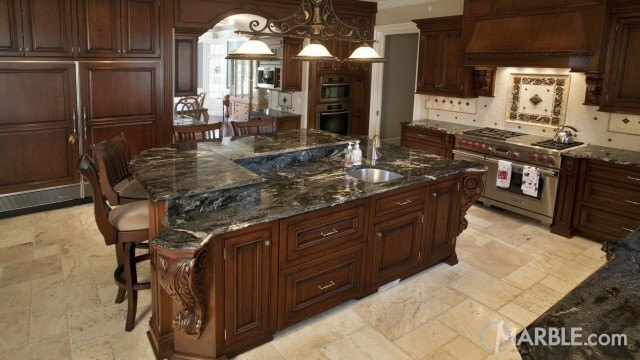 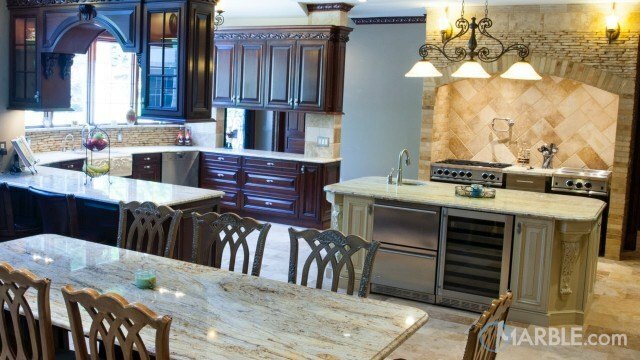 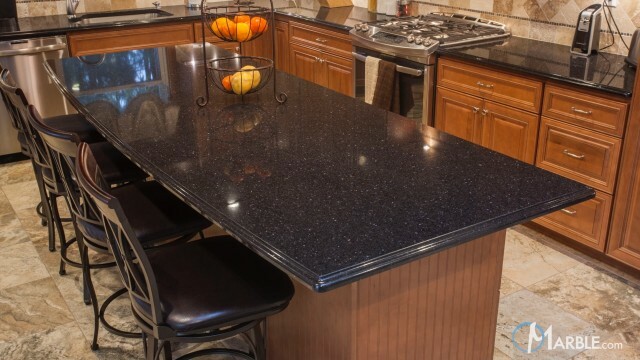 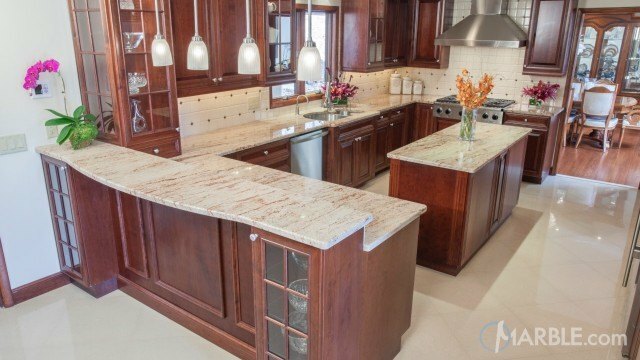 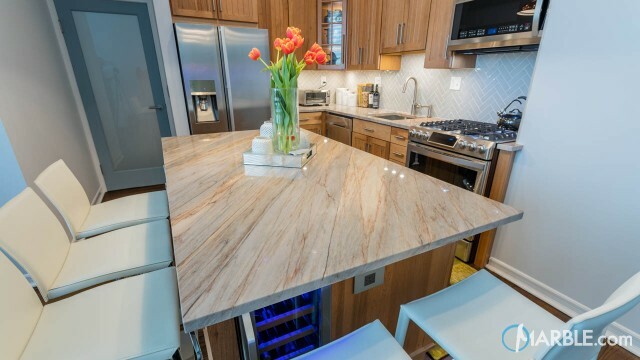 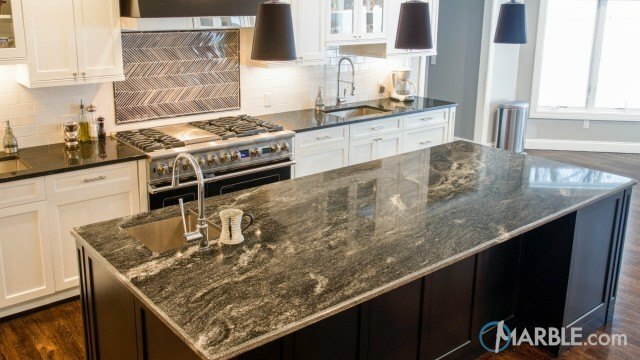 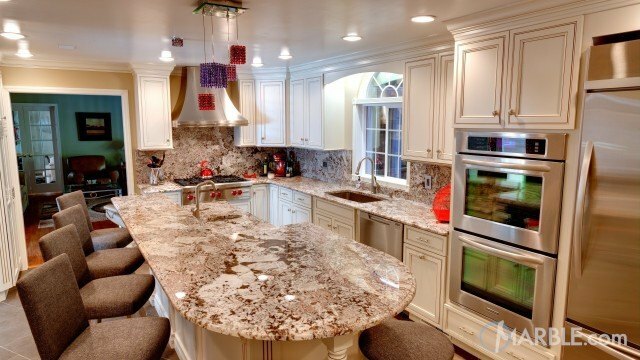 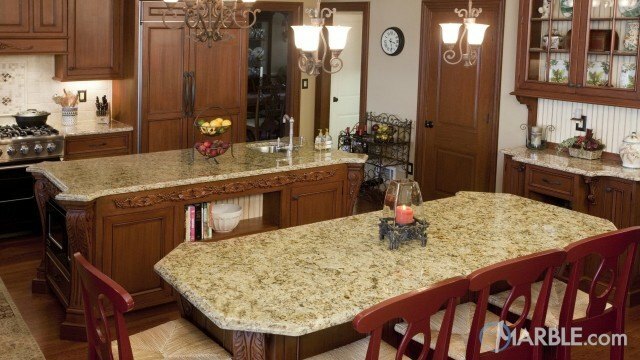 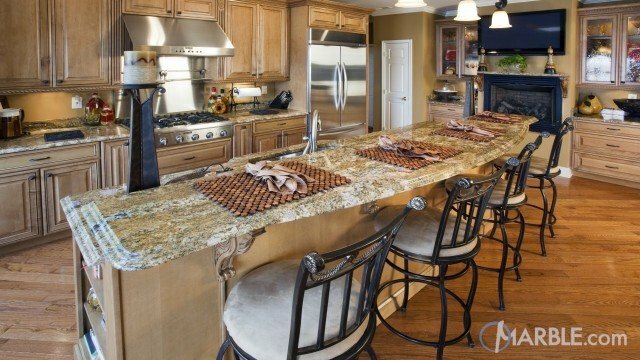 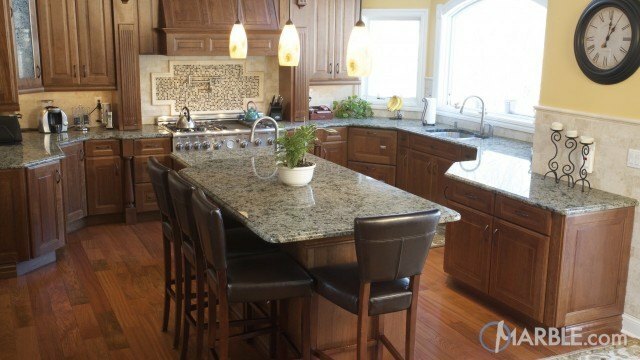 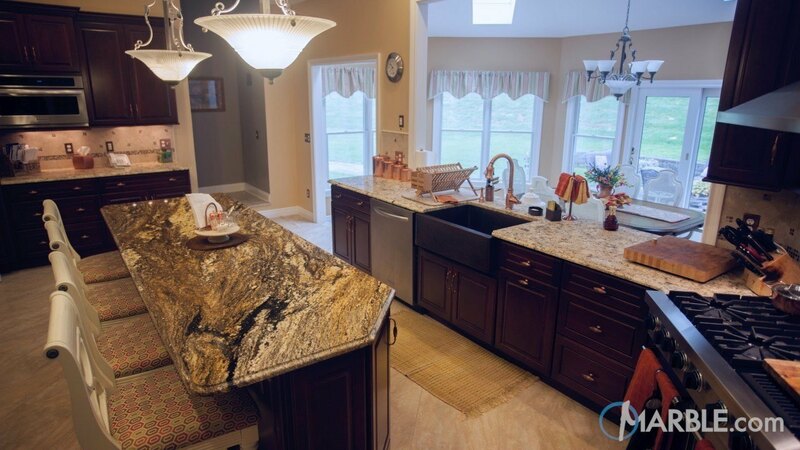 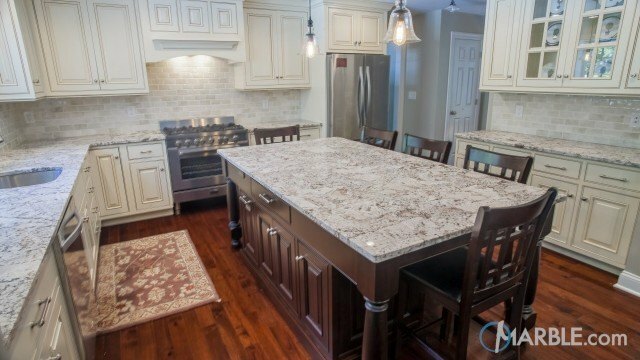 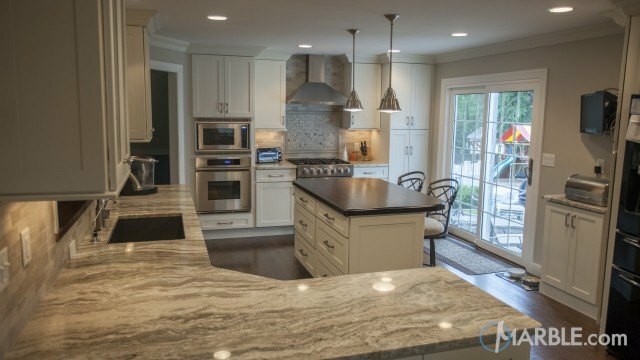 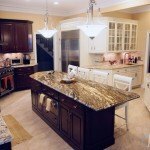 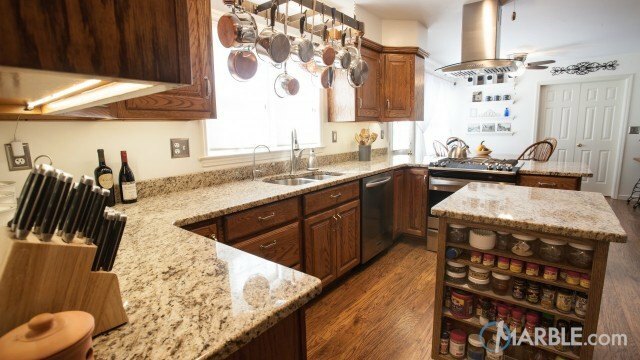 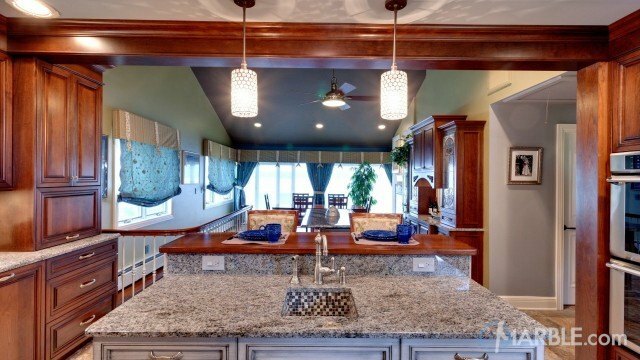 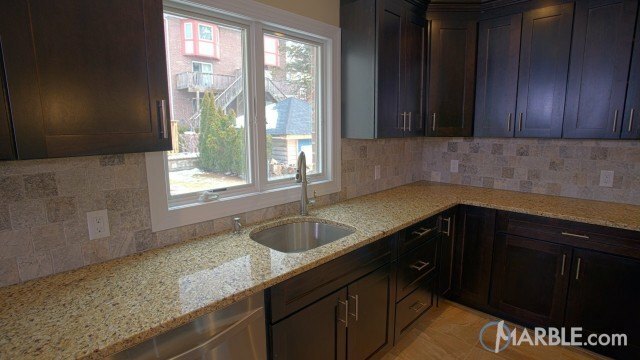 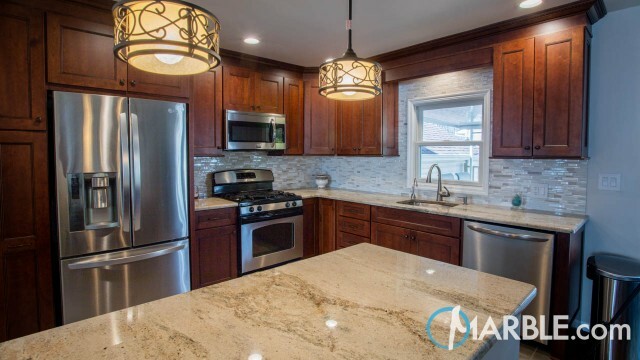 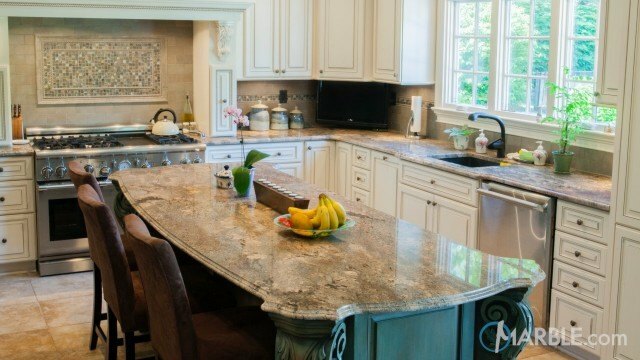 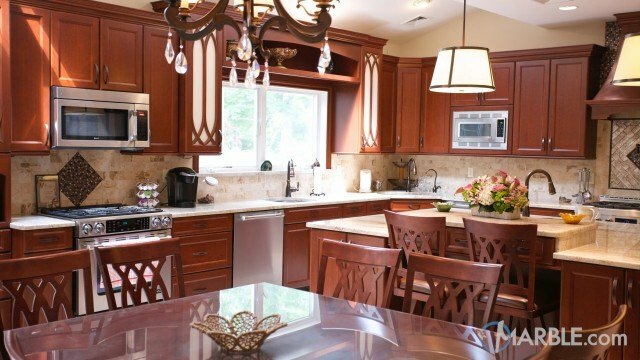 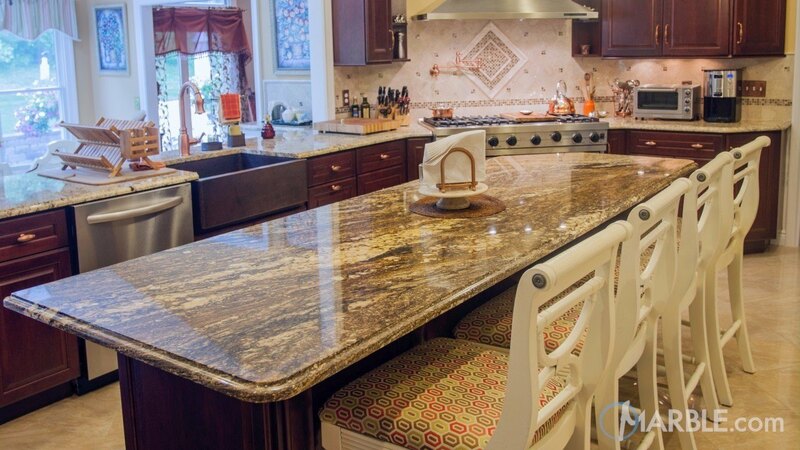 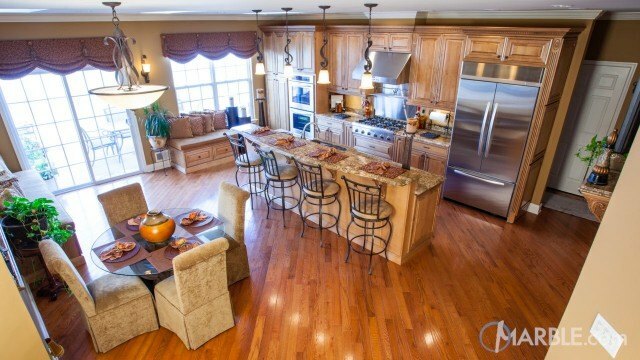 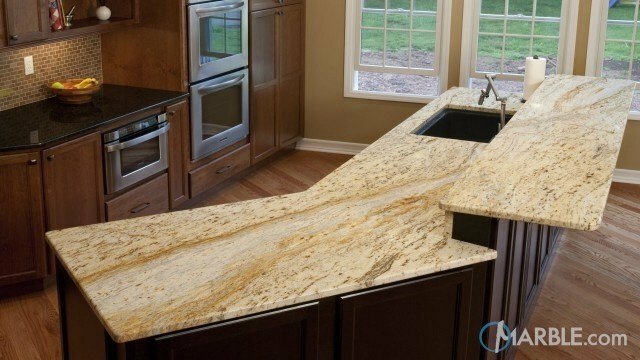 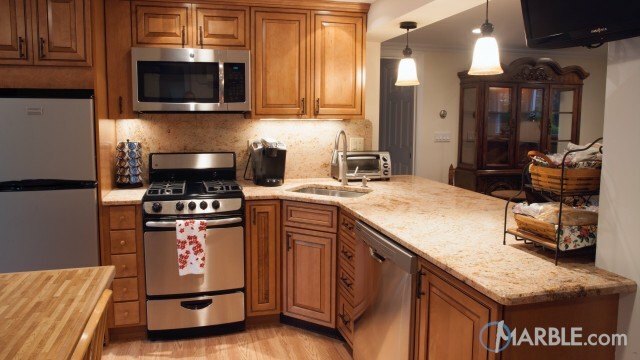 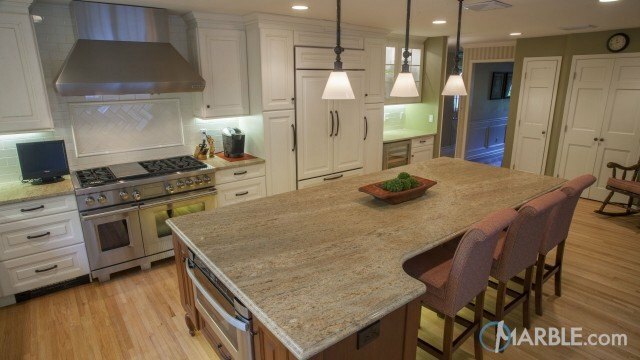 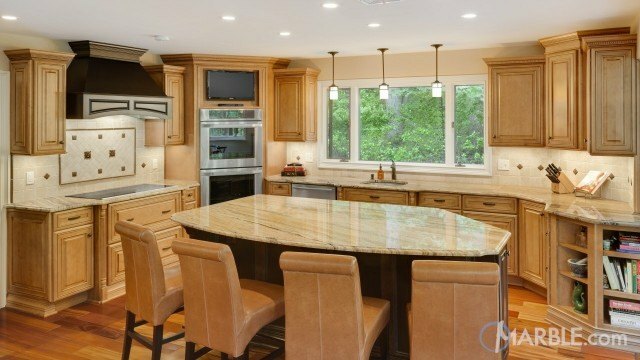 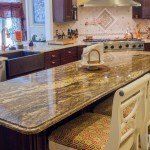 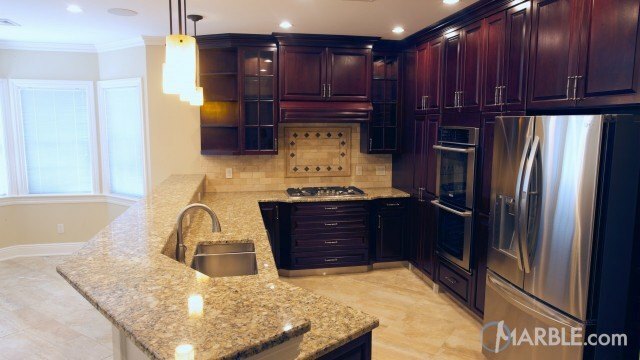 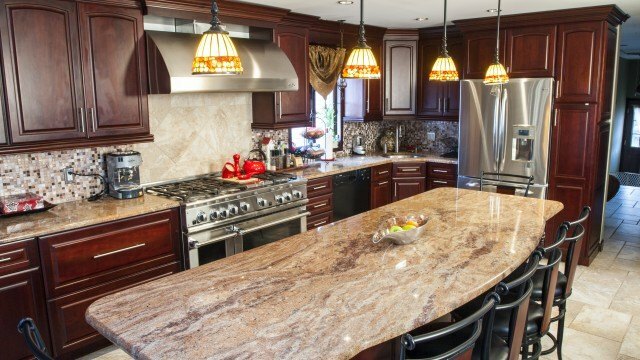 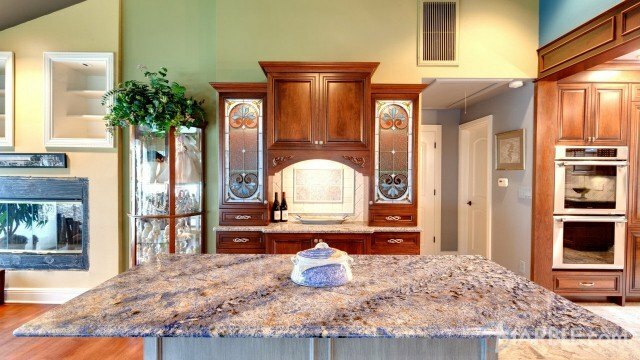 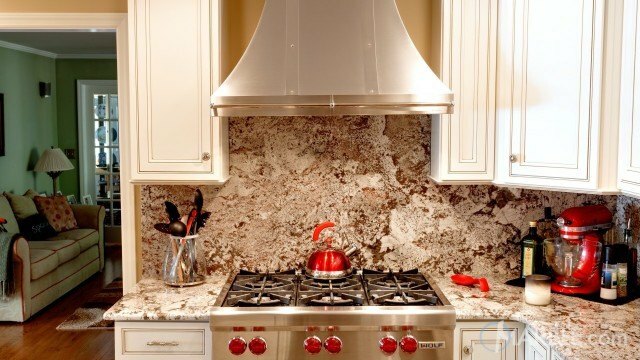 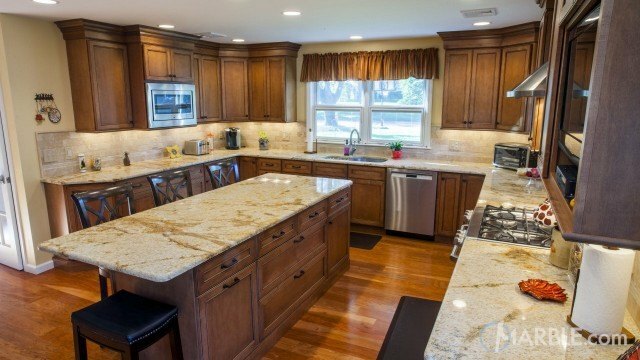 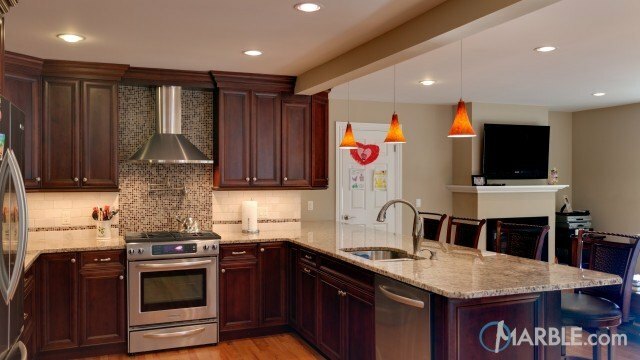 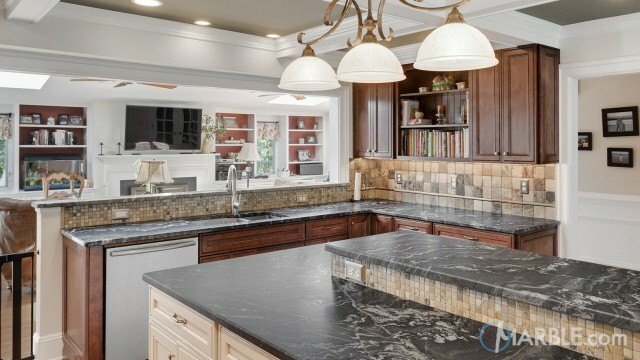 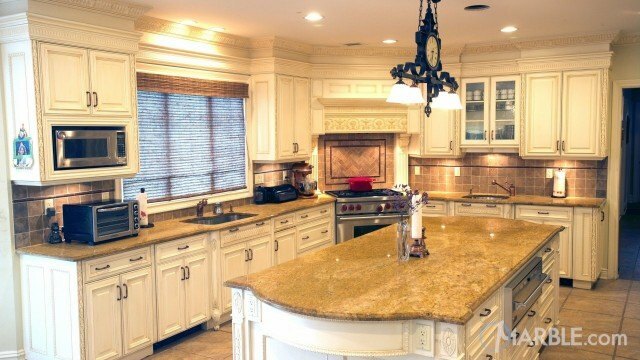 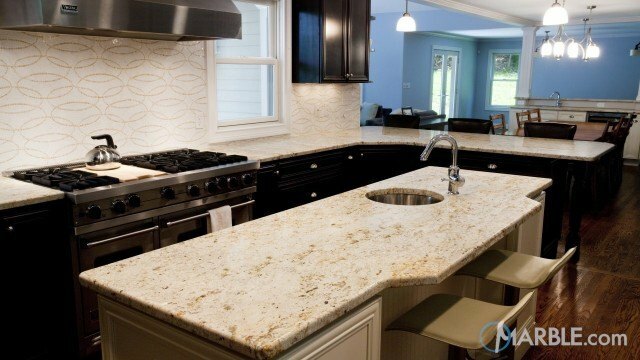 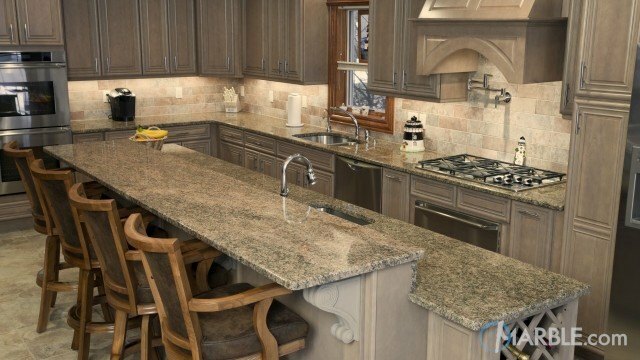 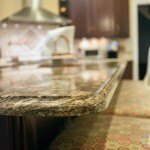 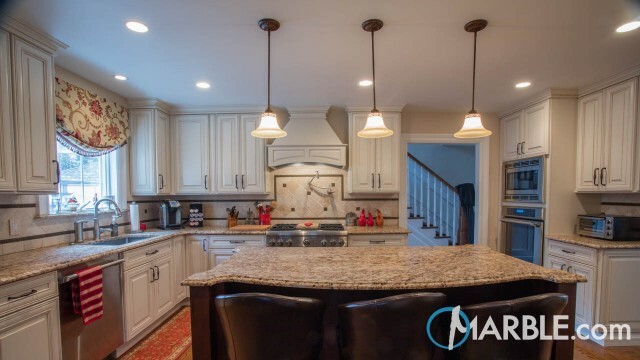 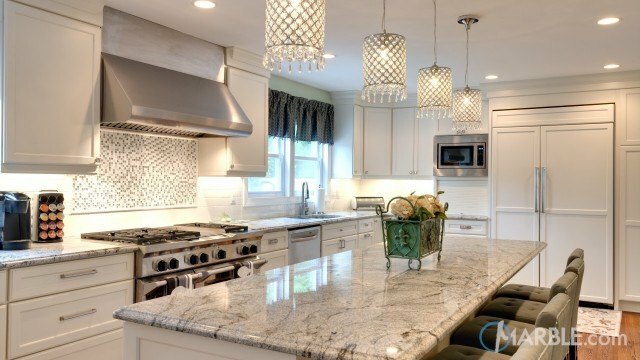 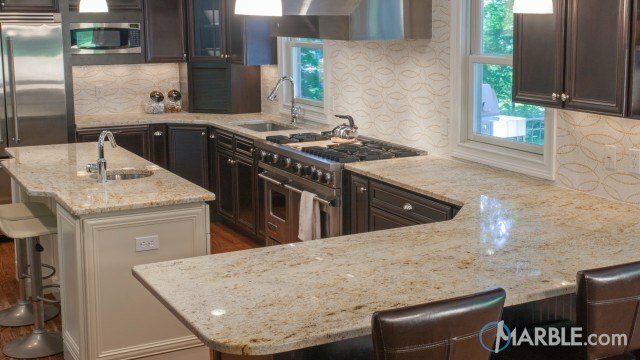 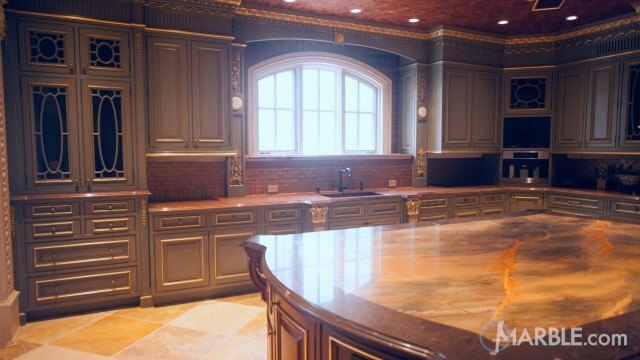 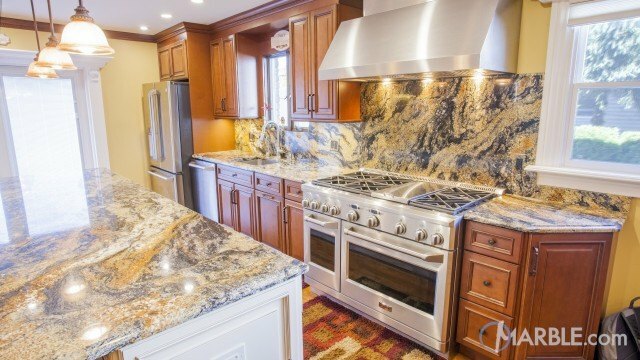 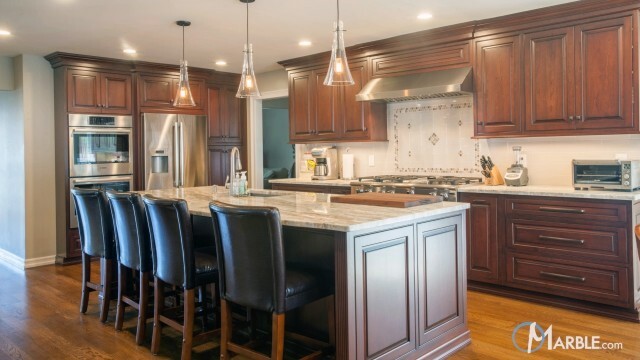 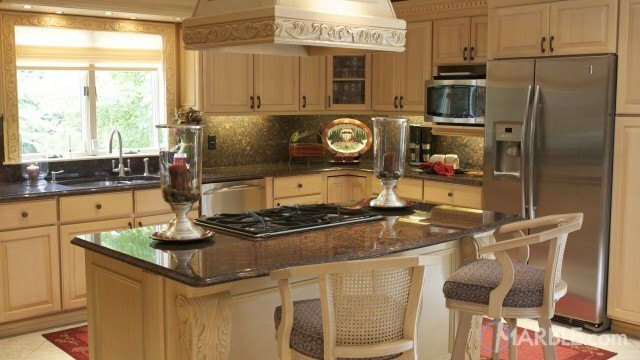 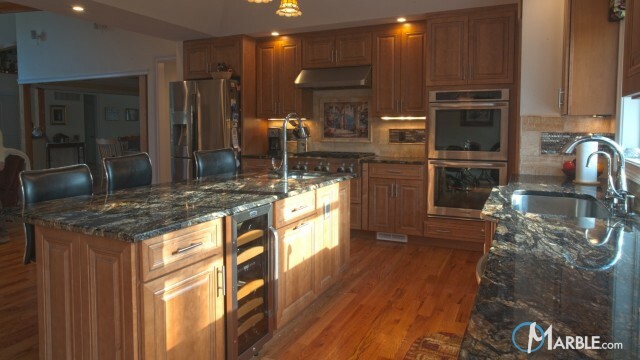 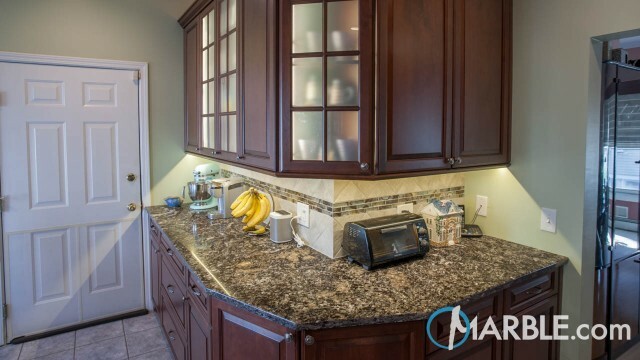 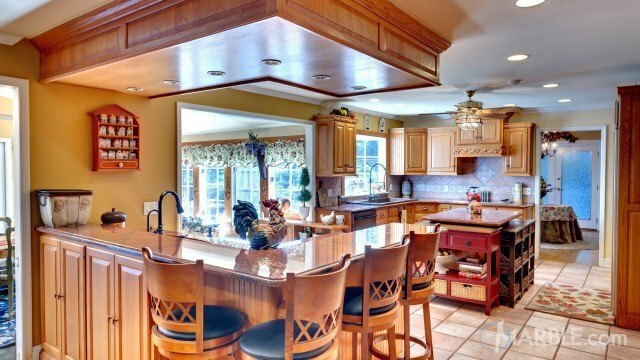 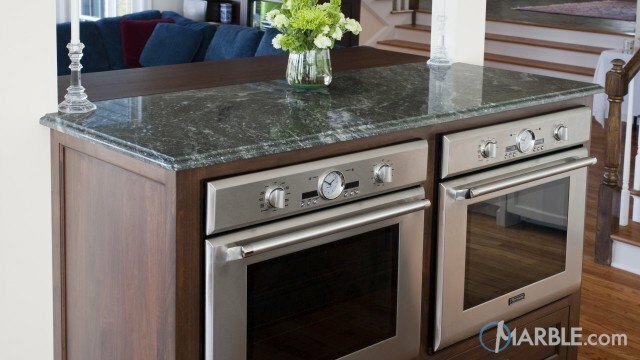 The granite on the kitchen island is striking with colors of black, gold and brown. 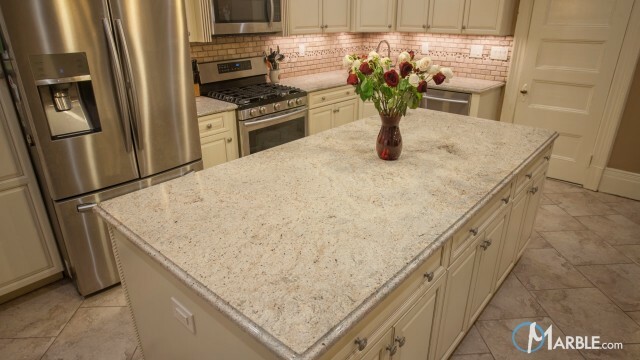 What a beautiful piece of granite.